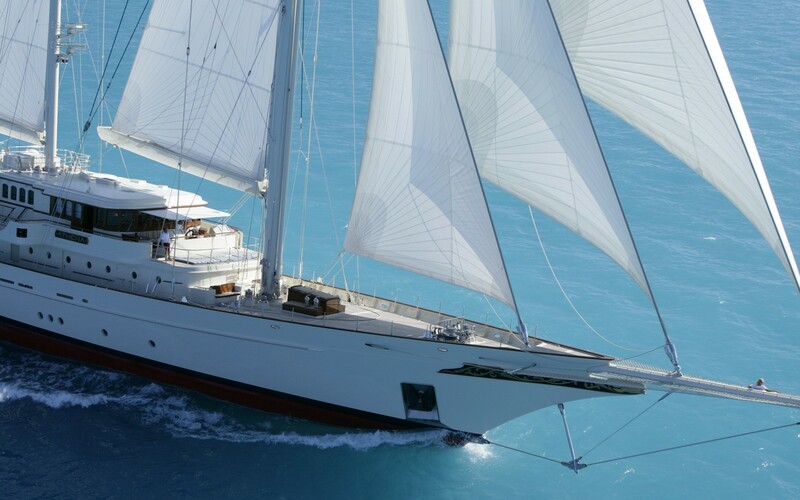 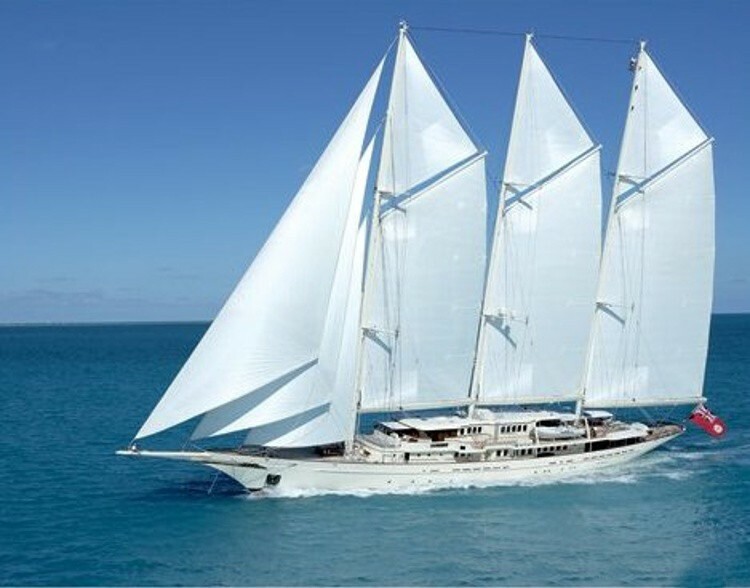 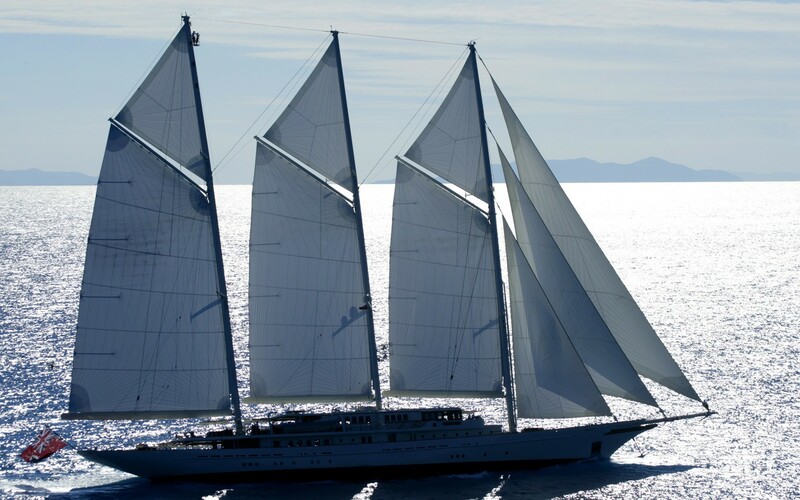 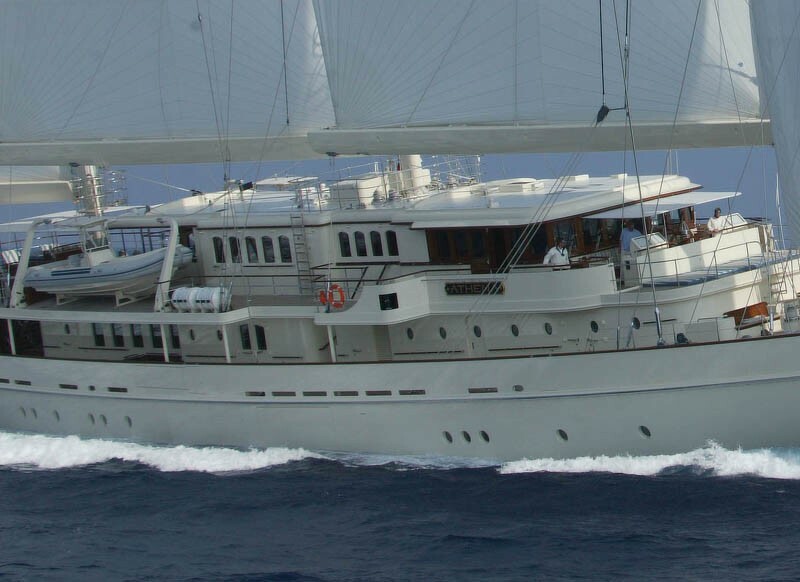 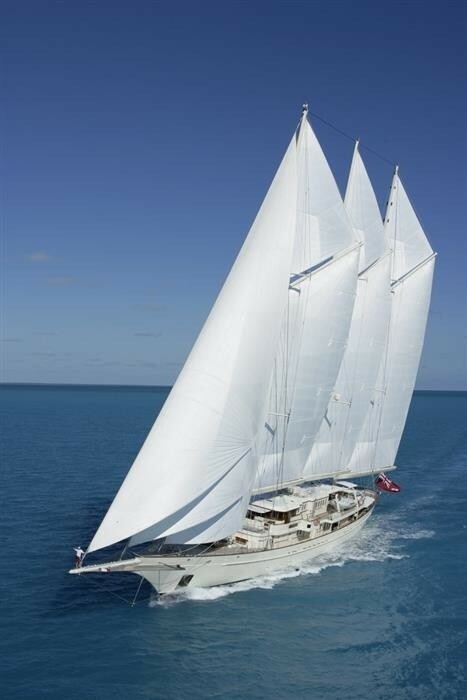 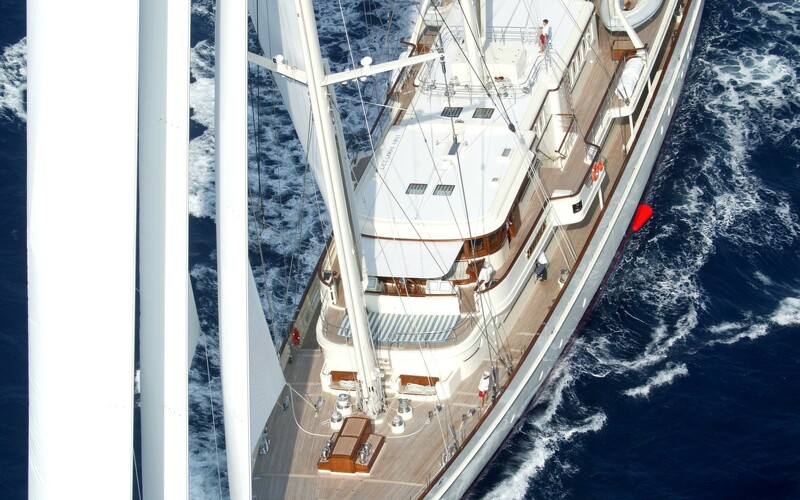 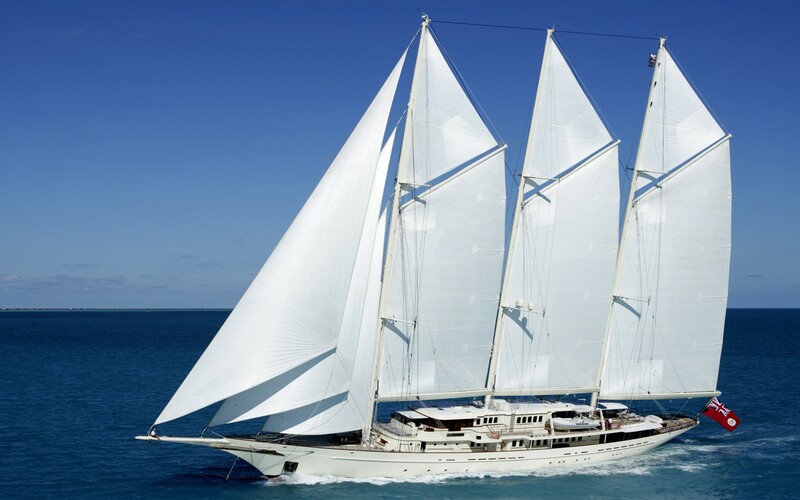 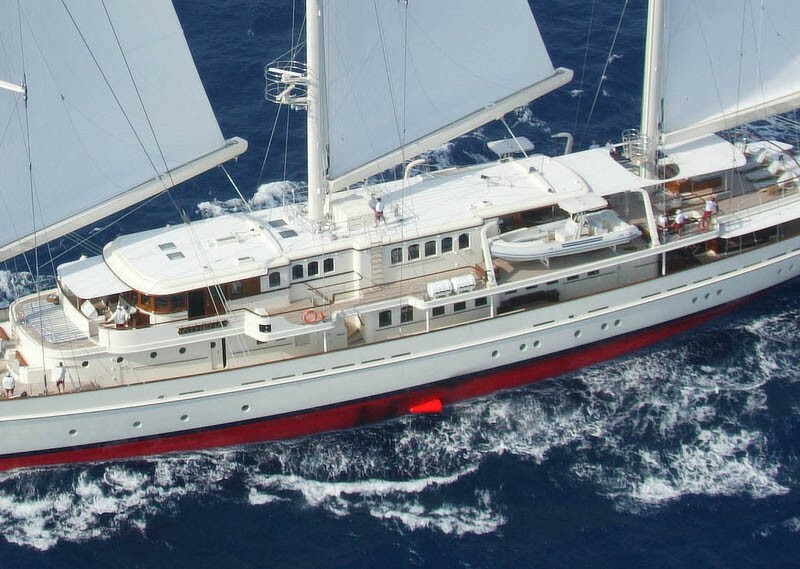 Originating from the Royal Huisman ship building company in the Netherlands the ATHENA is 90 m 295 (ft) in length. 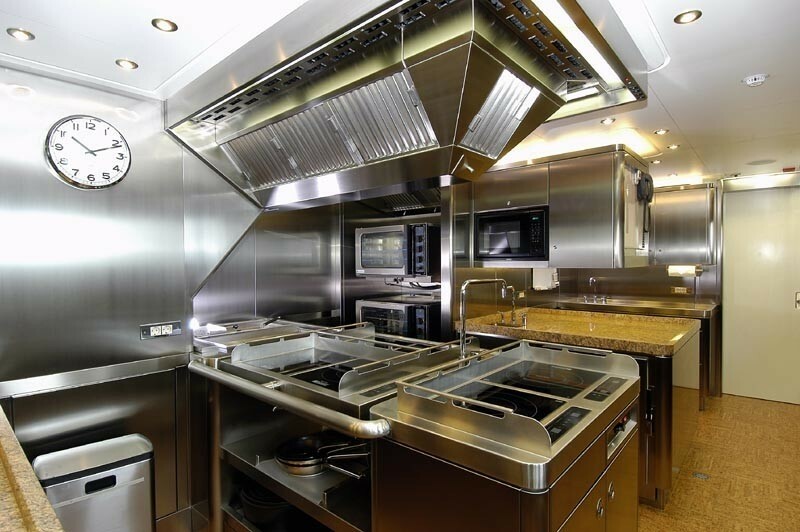 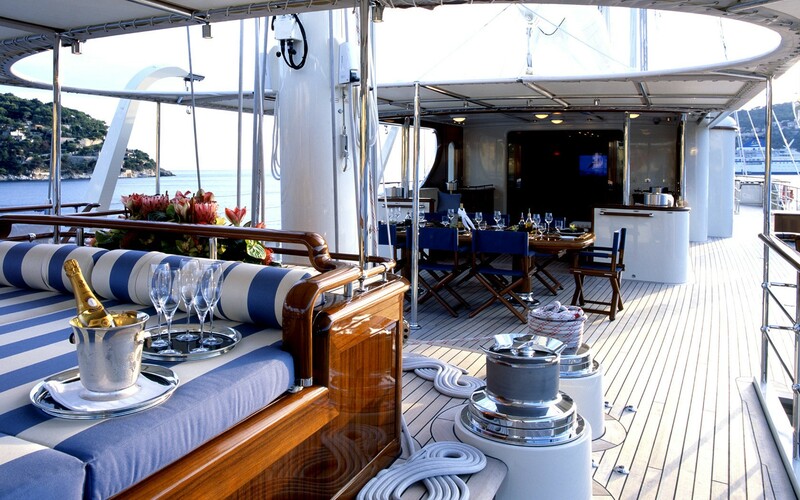 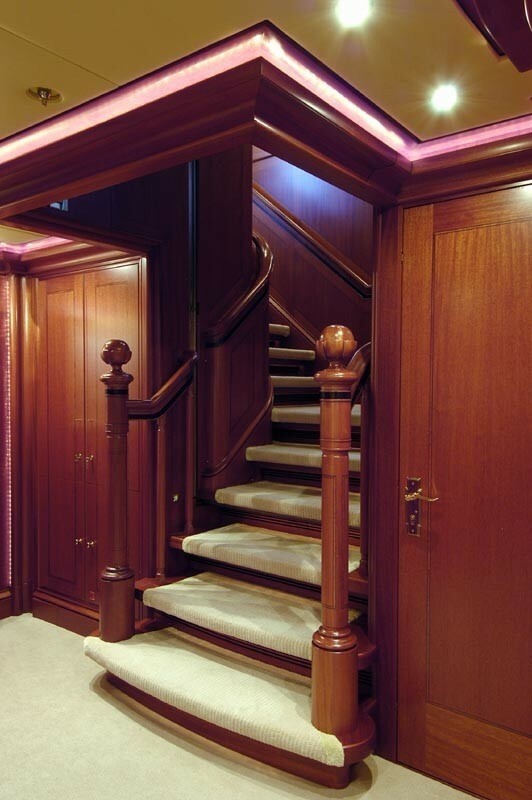 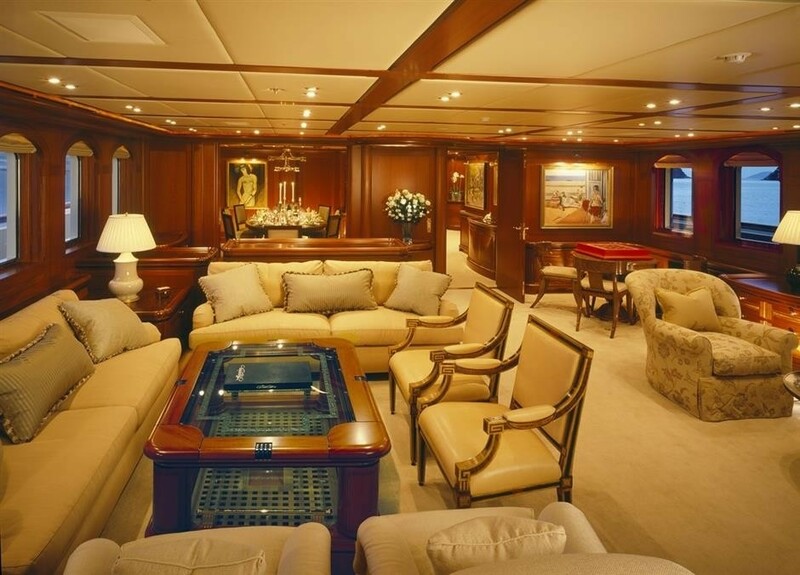 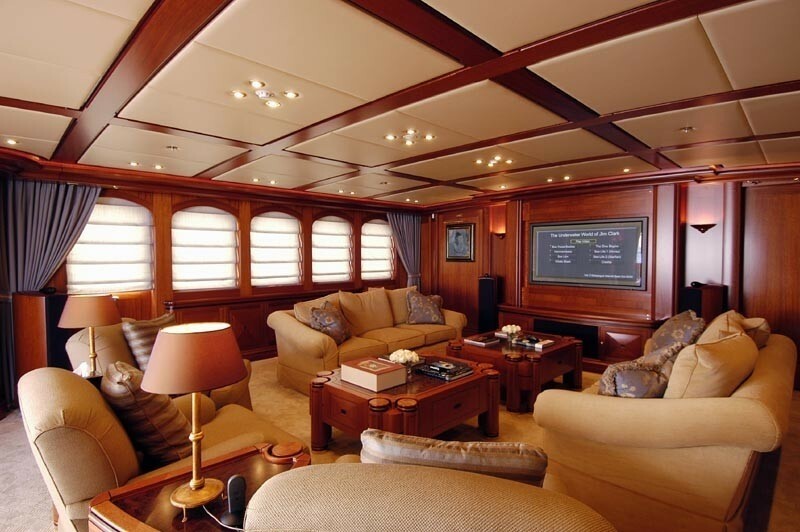 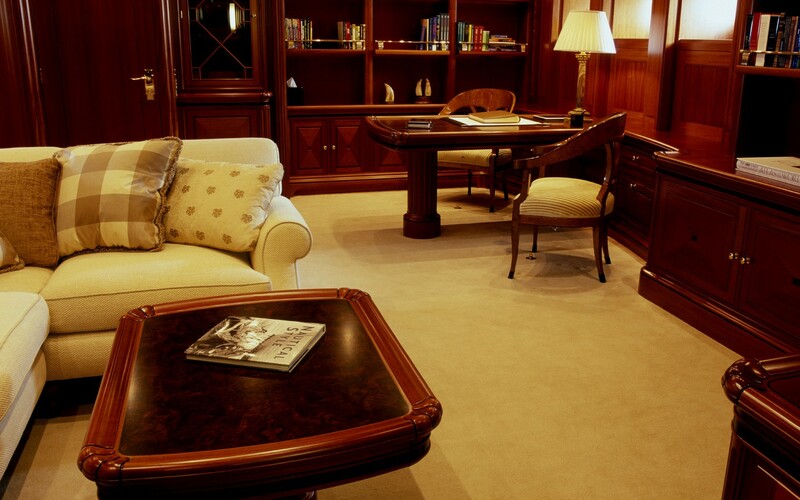 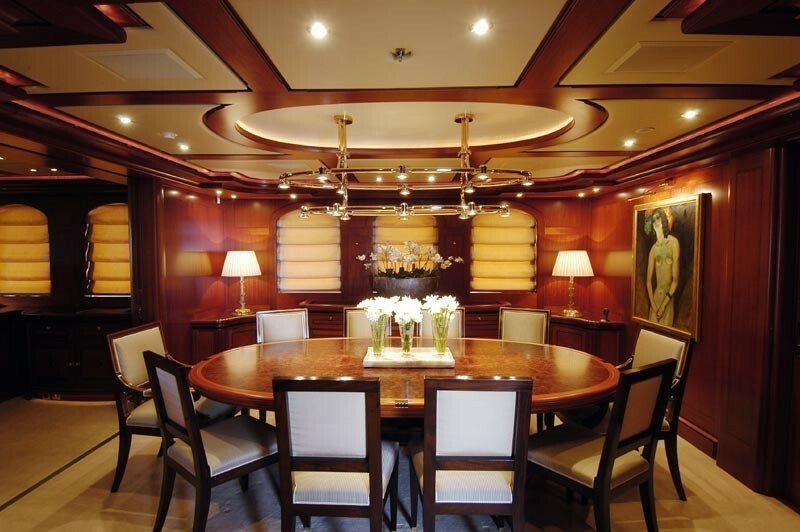 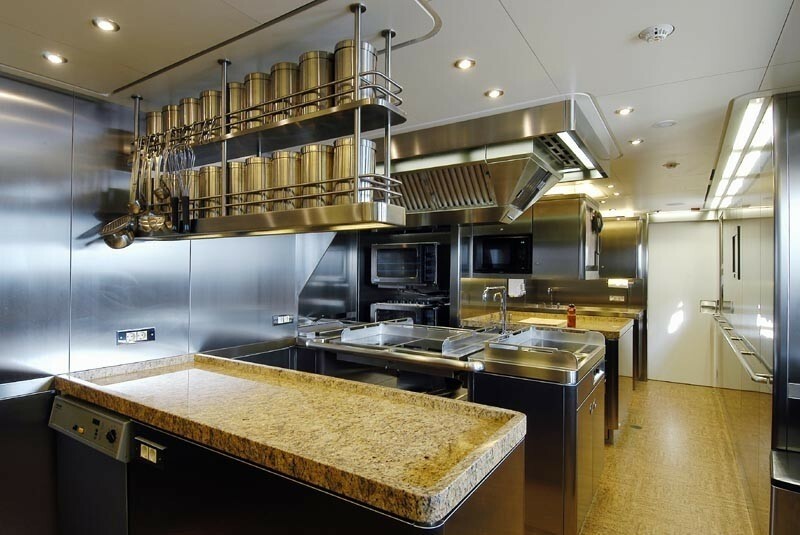 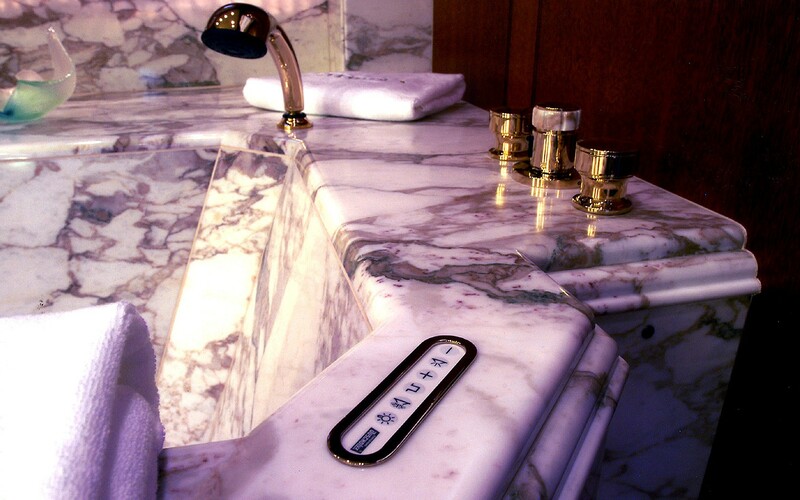 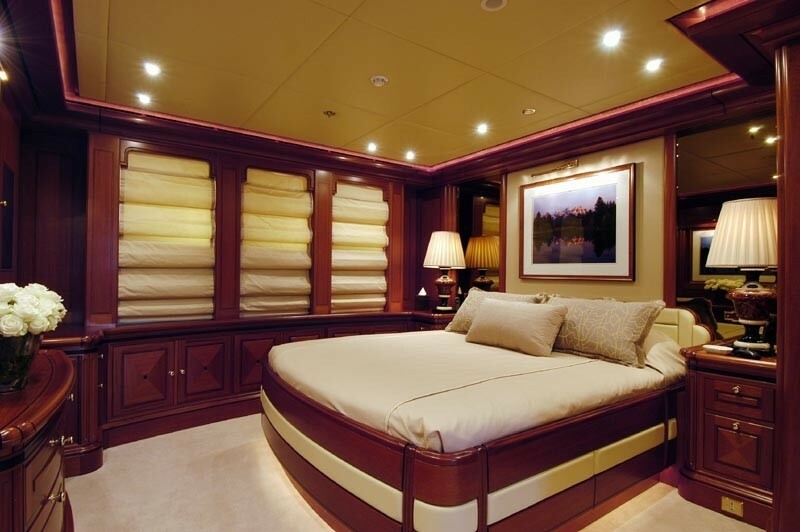 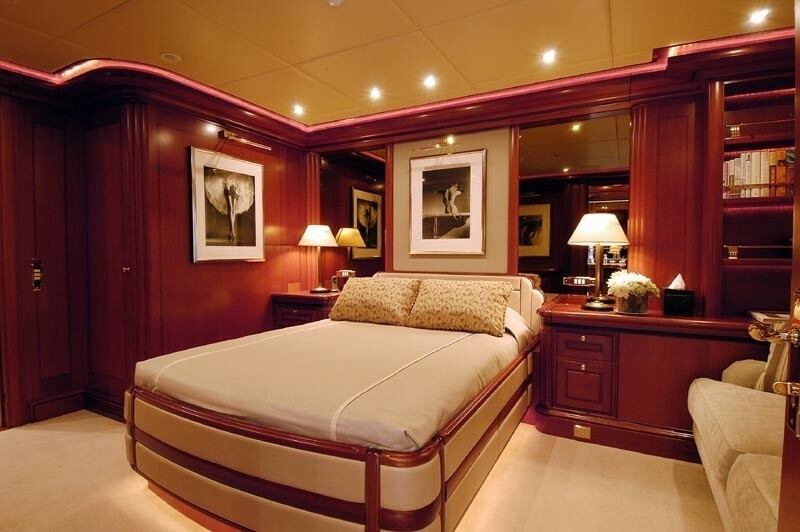 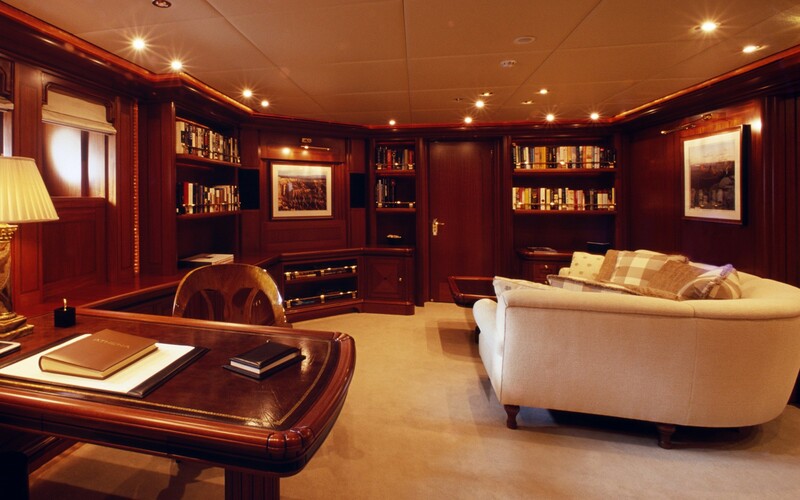 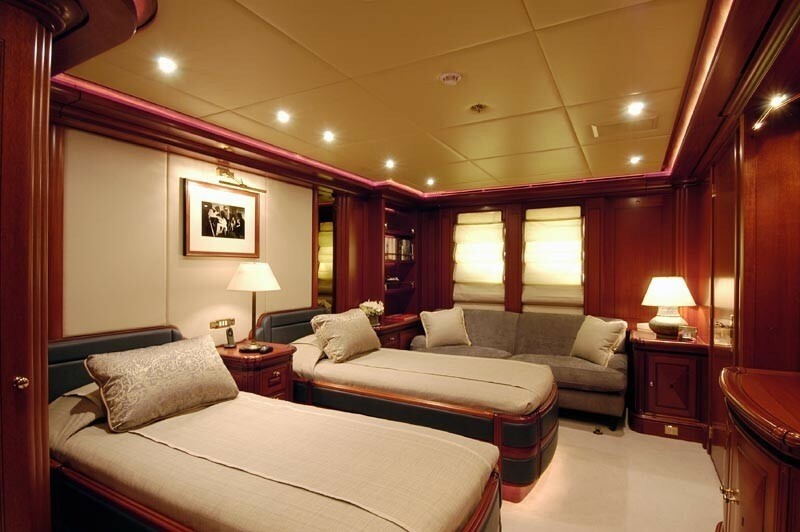 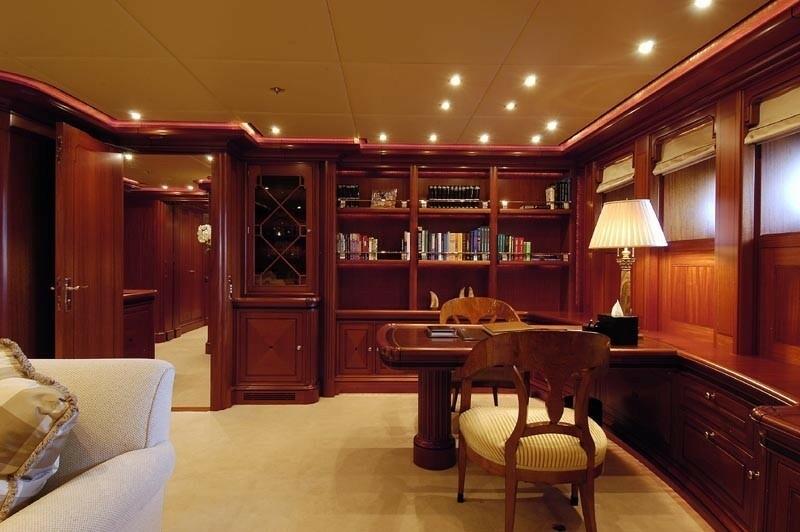 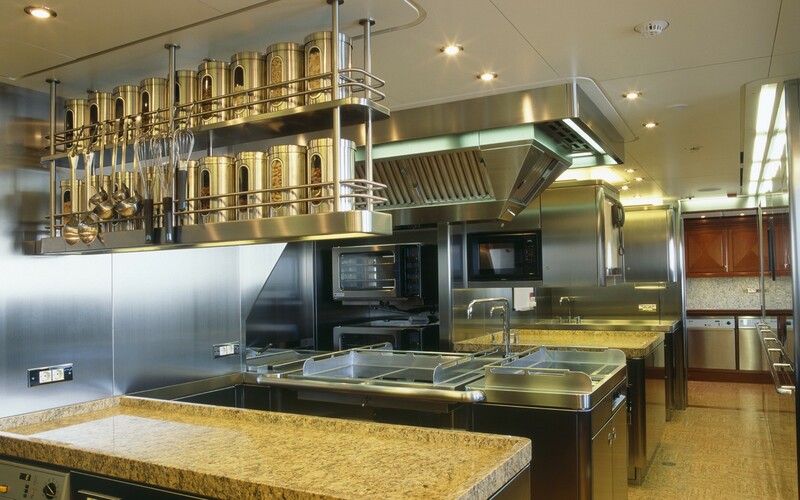 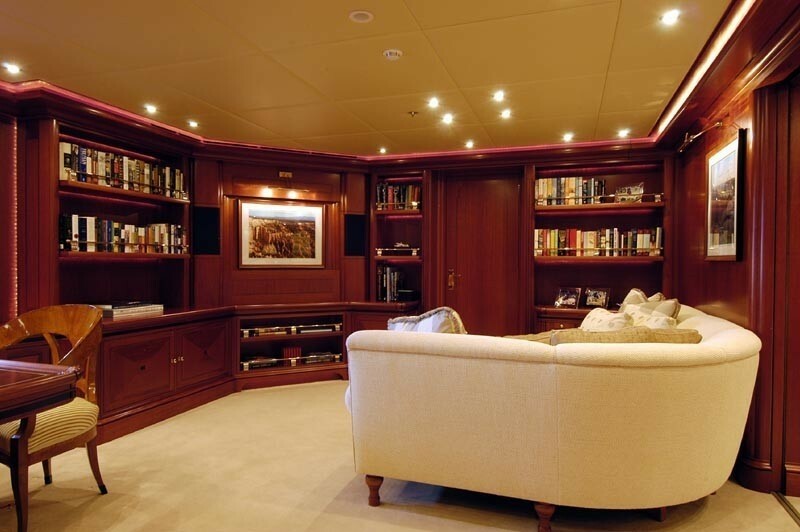 Completed in 2005 the comparatively recent interior design and decor confirms the capabilities from Rebecca Bradley Interior Design and their approach to interior yacht design. 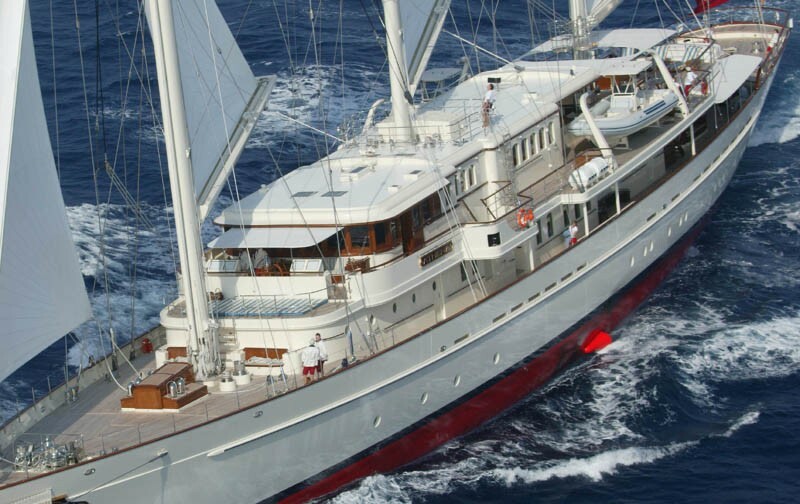 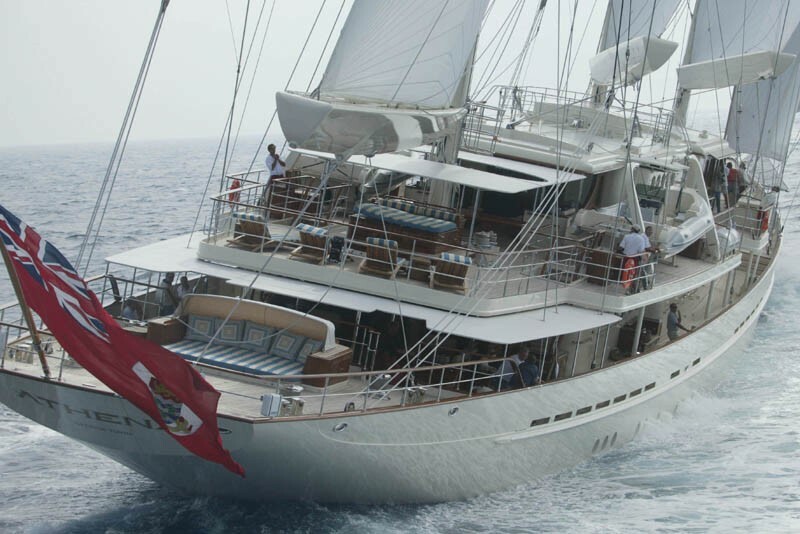 Superyacht ATHENA is able to accommodate up to 12 passengers with 22 crew. 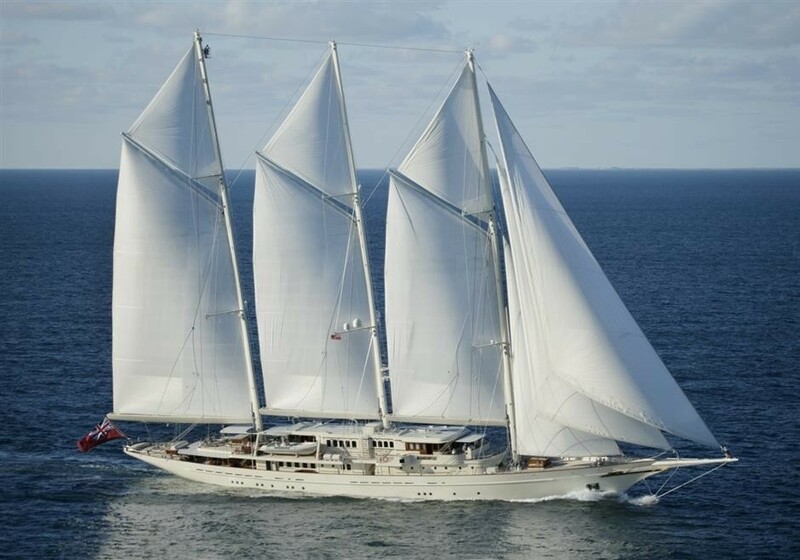 She is a recent triple masted schooner. 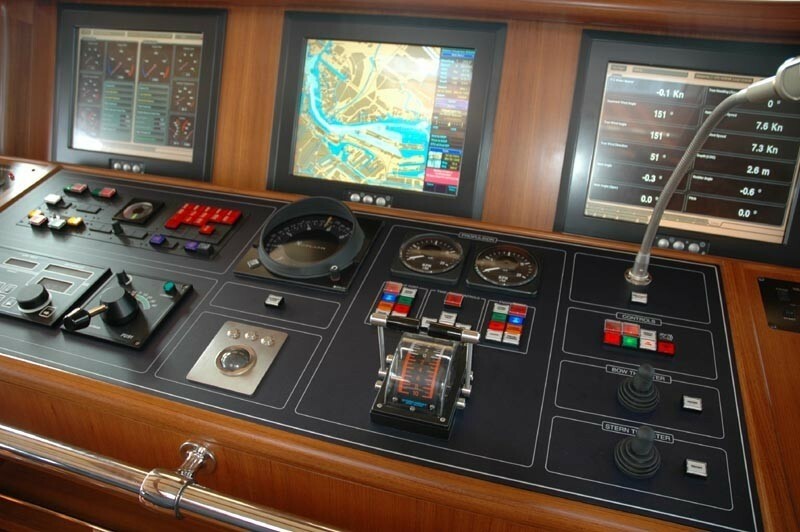 She will reach a maximum speed of 19 knots. 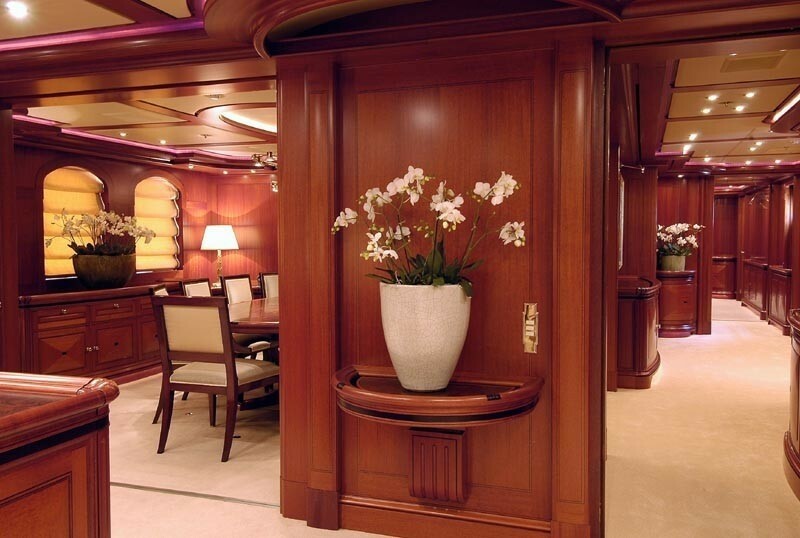 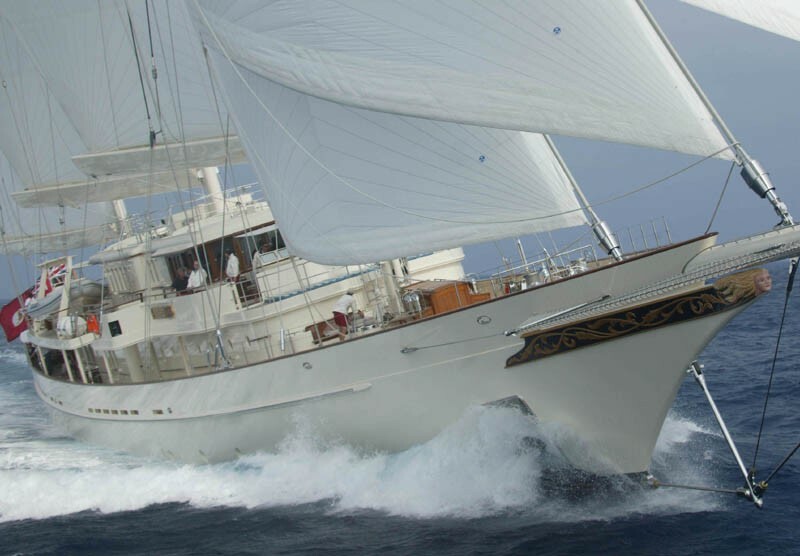 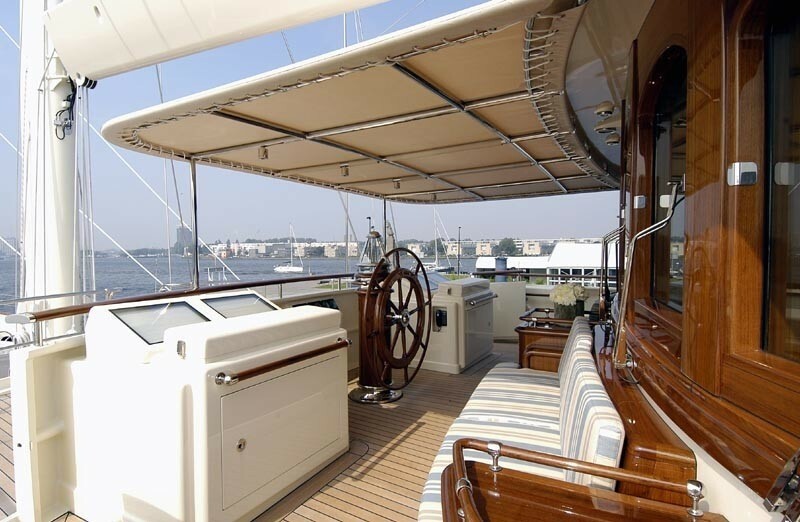 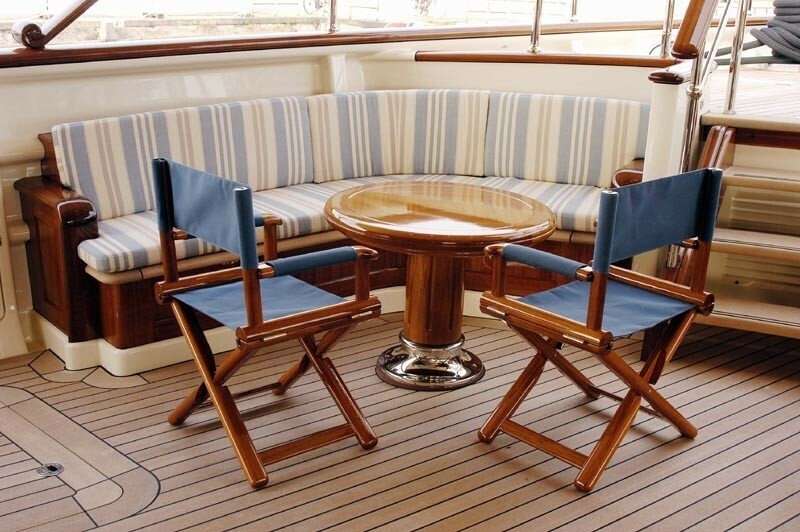 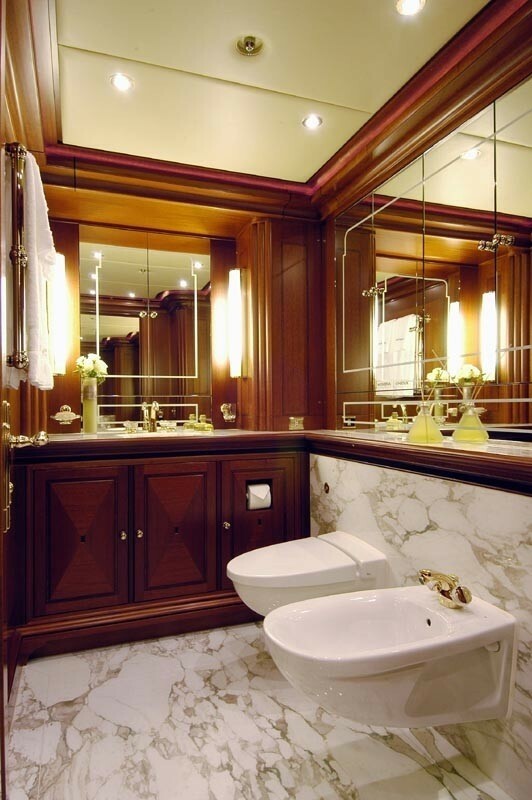 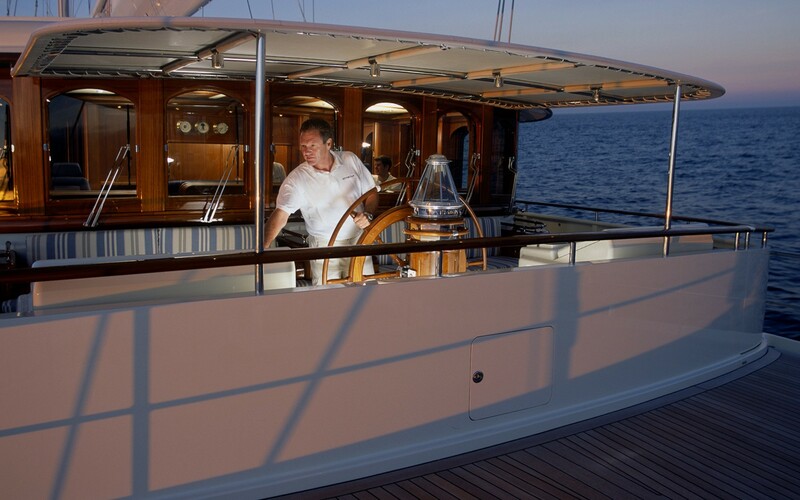 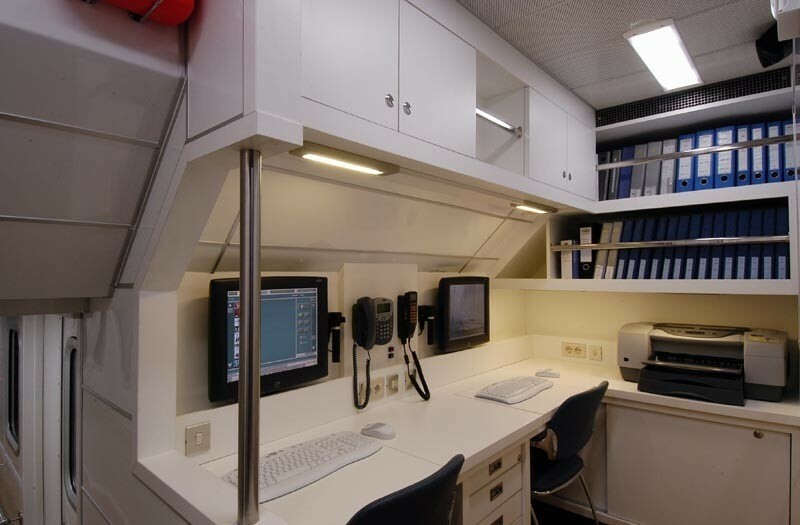 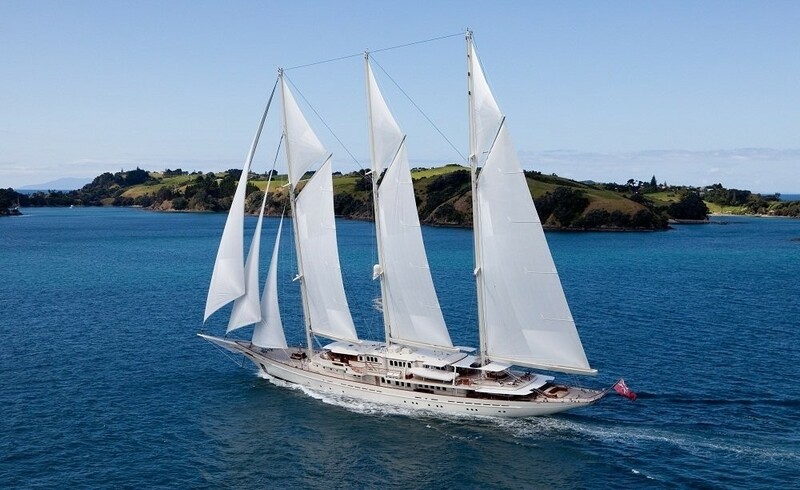 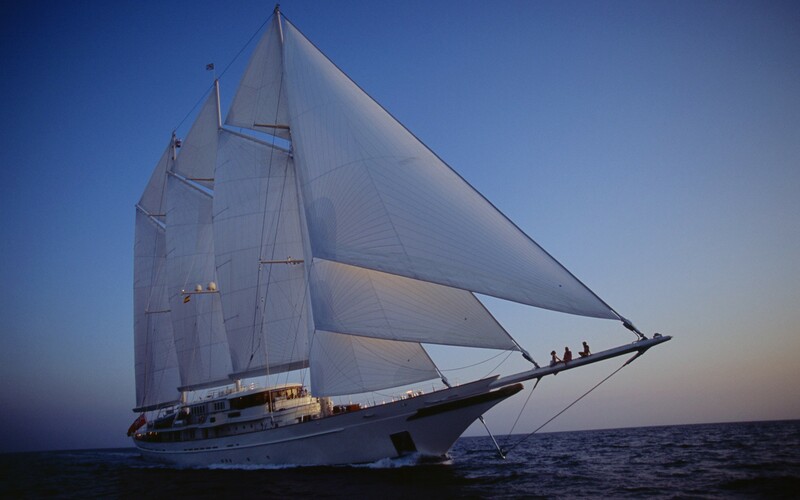 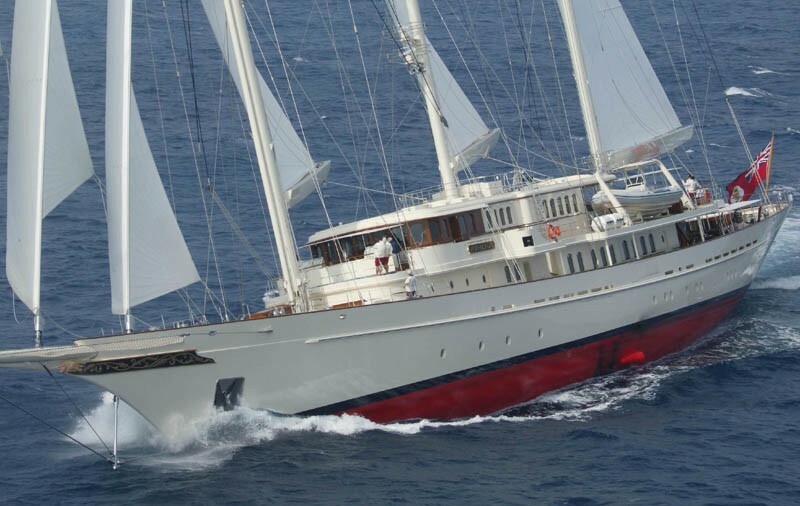 Dijkstra & Partners was the naval architect involved in the formal nautical design work for ATHENA. 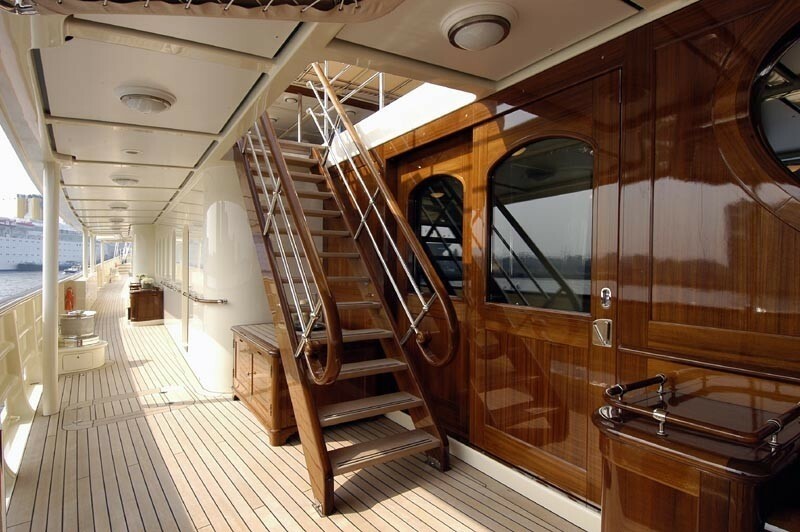 Also the company Dijkstra & Partners and Pieter Beeldsnijder Design expertly collaborated on this project. 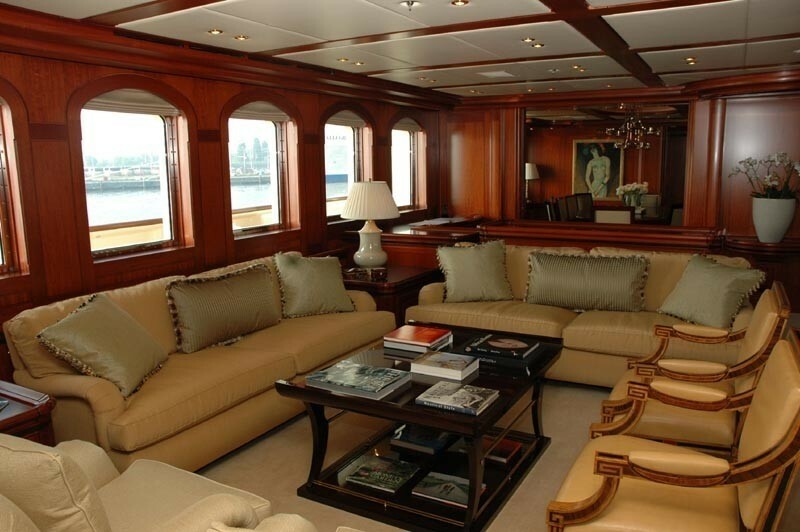 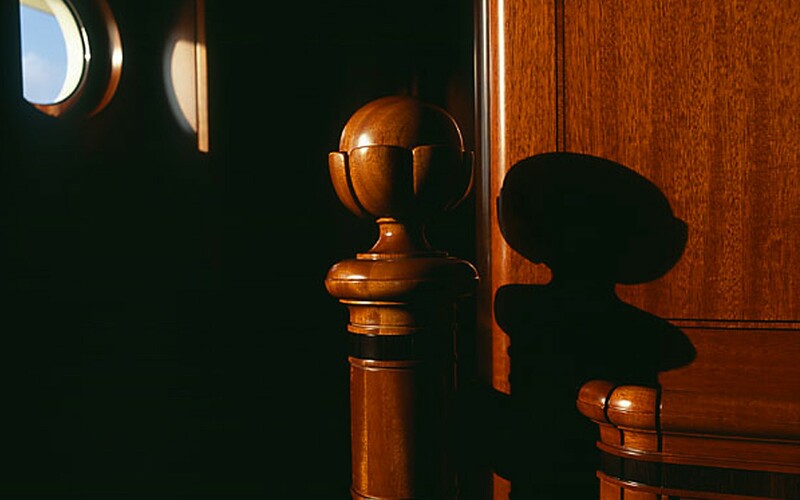 Interior designer Rebecca Bradley Interior Design was commissioned for the overall interior styling. 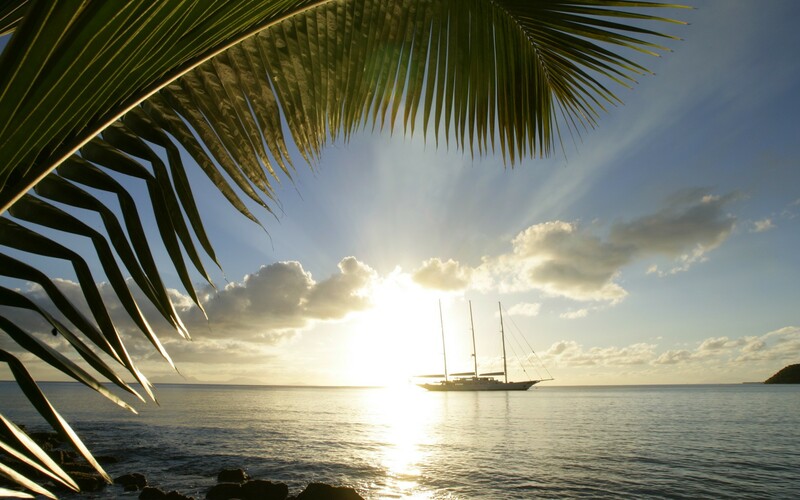 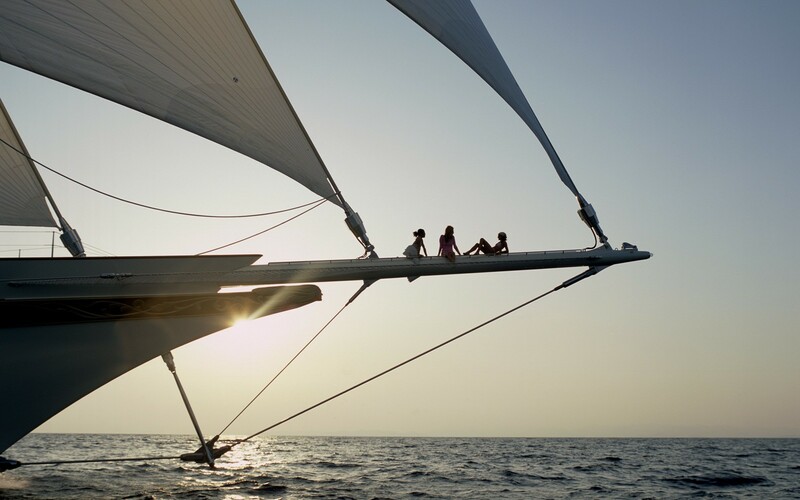 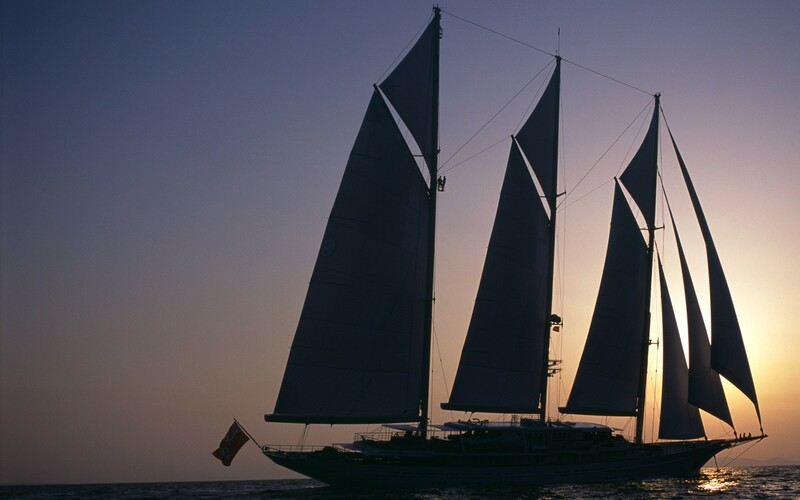 Created at Royal Huisman this vessel was constructed in the Netherlands. 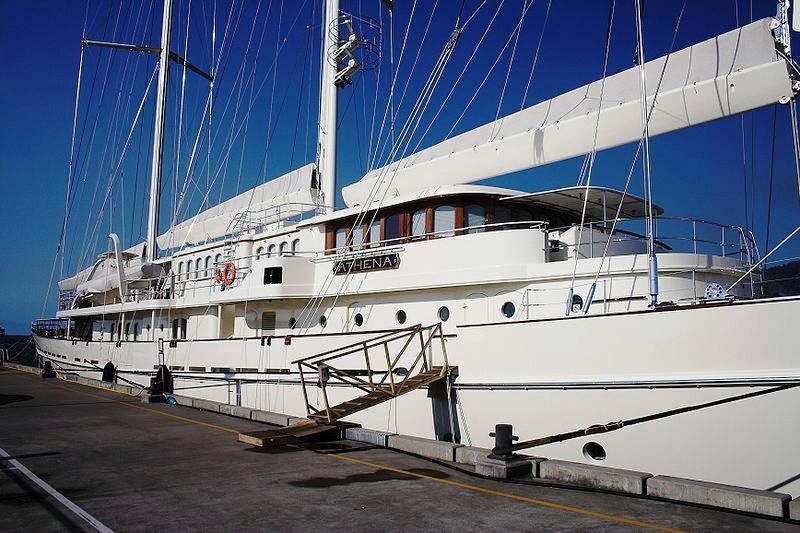 She was officially launched in Vollenhove in 2005 before being delivered to the owner. 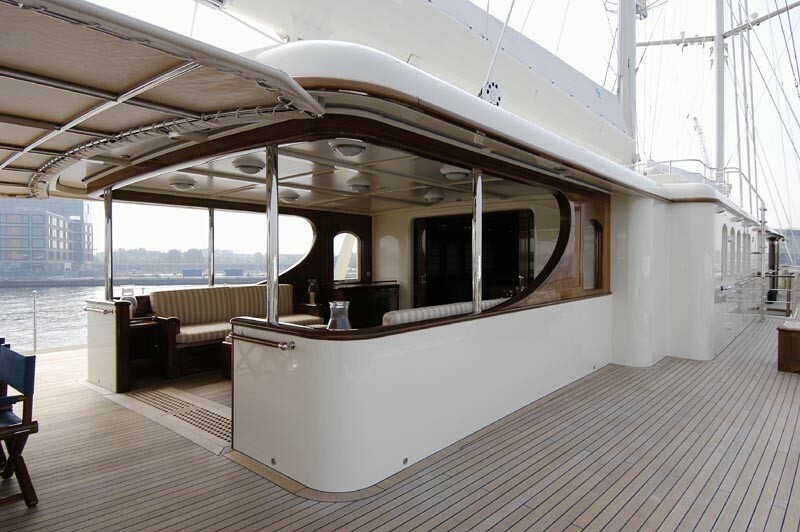 Her core hull was crafted from aluminium. 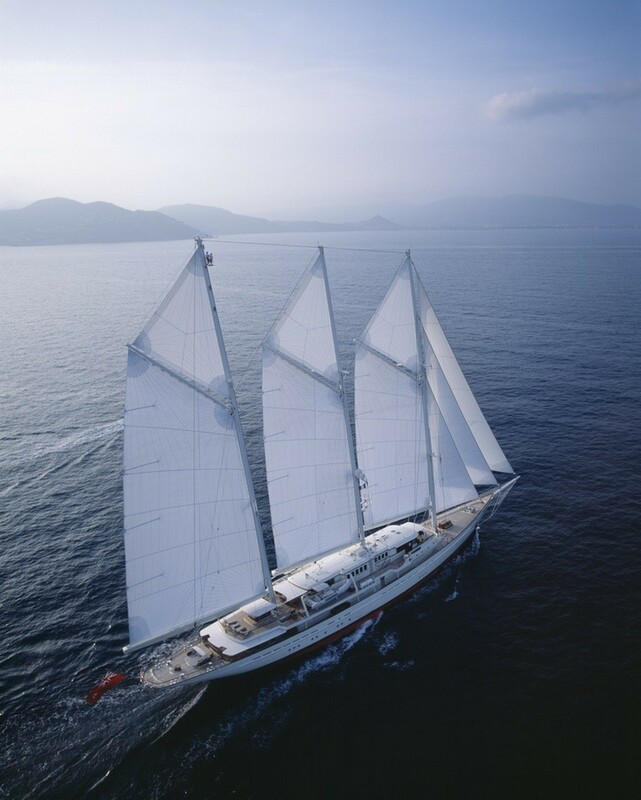 The sailing yacht superstructure component is fabricated mostly from aluminium. 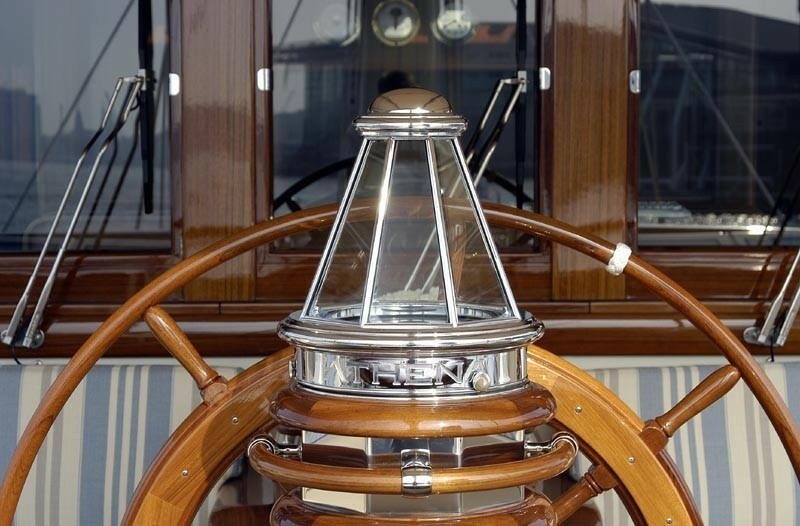 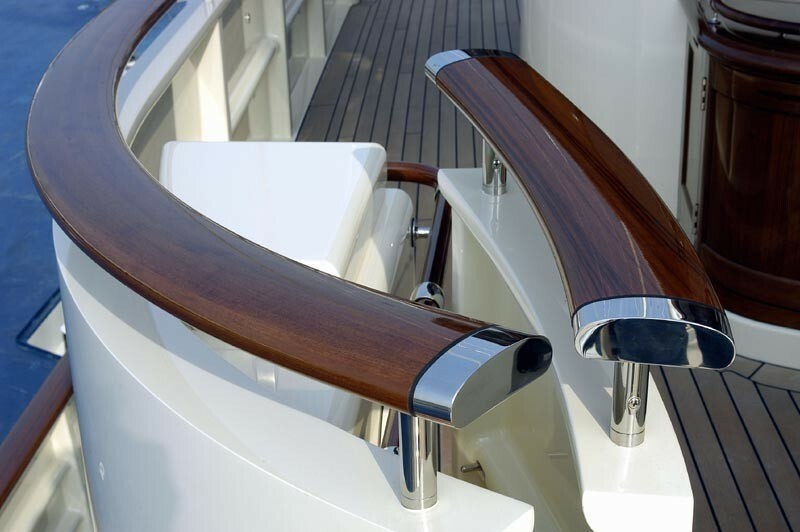 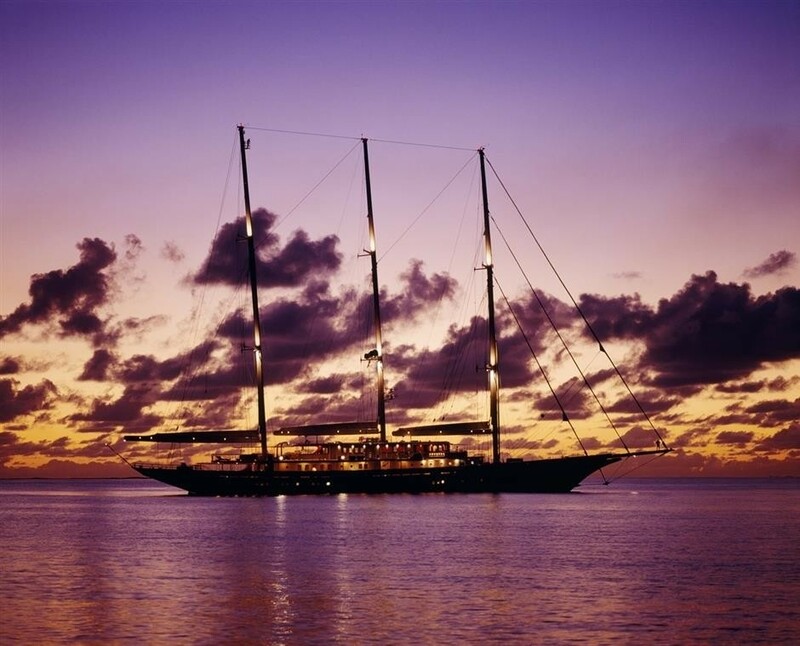 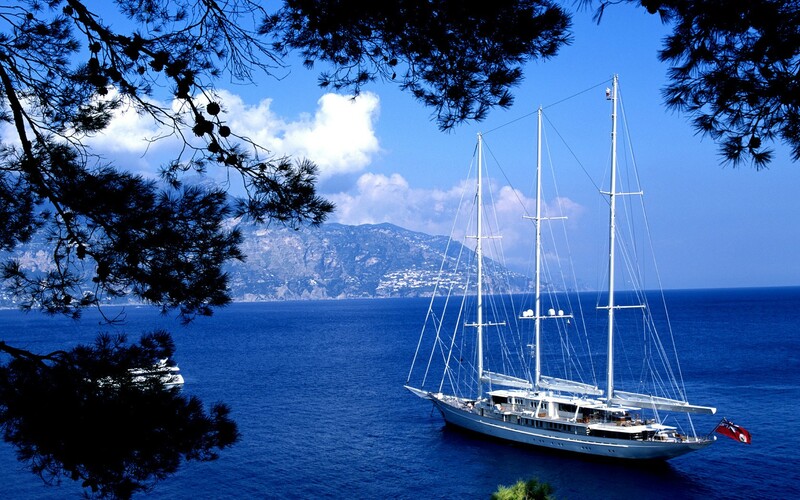 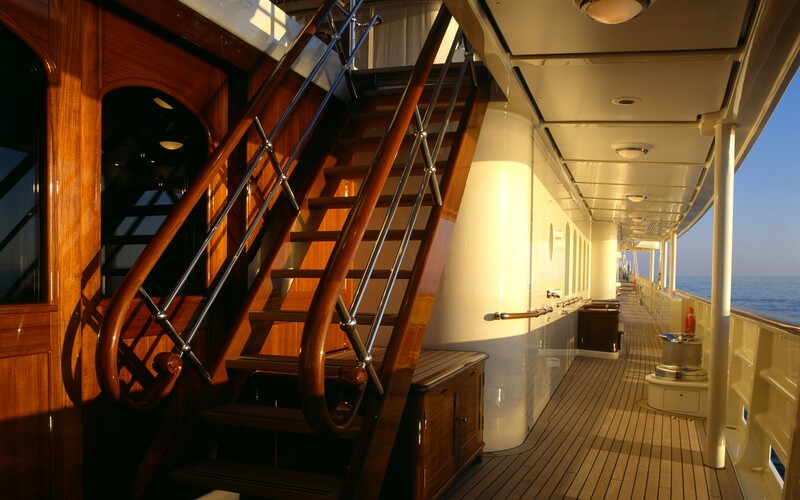 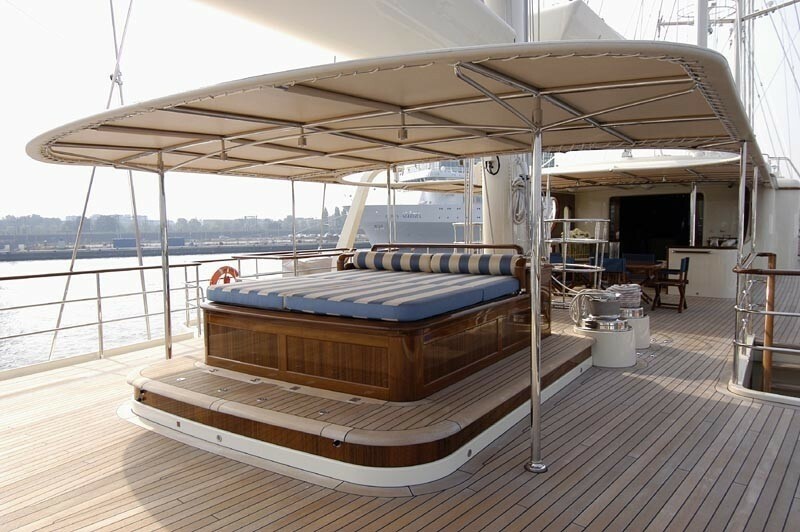 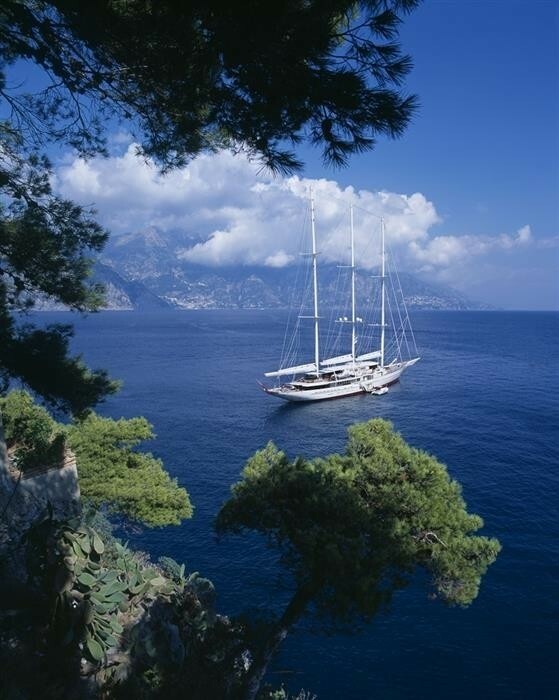 The total length of the luxury yacht on deck is 77.04 (252.76 ft). 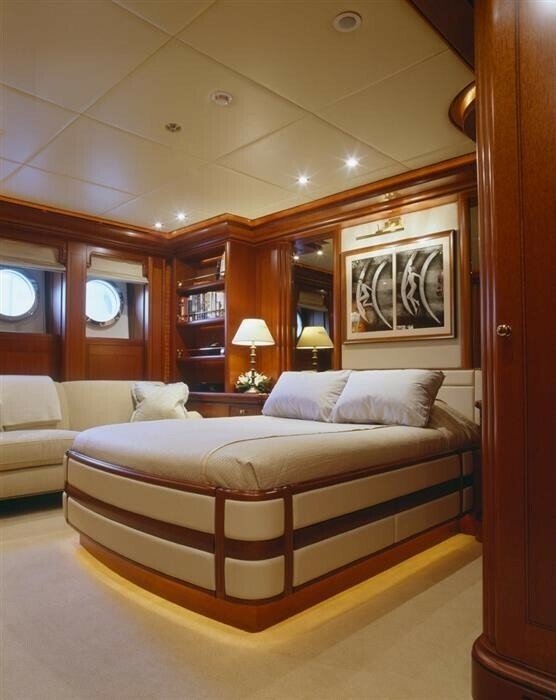 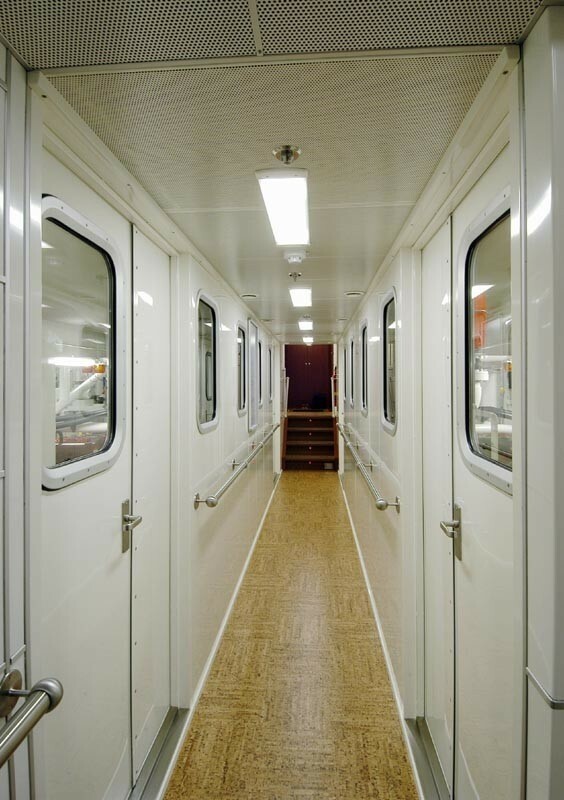 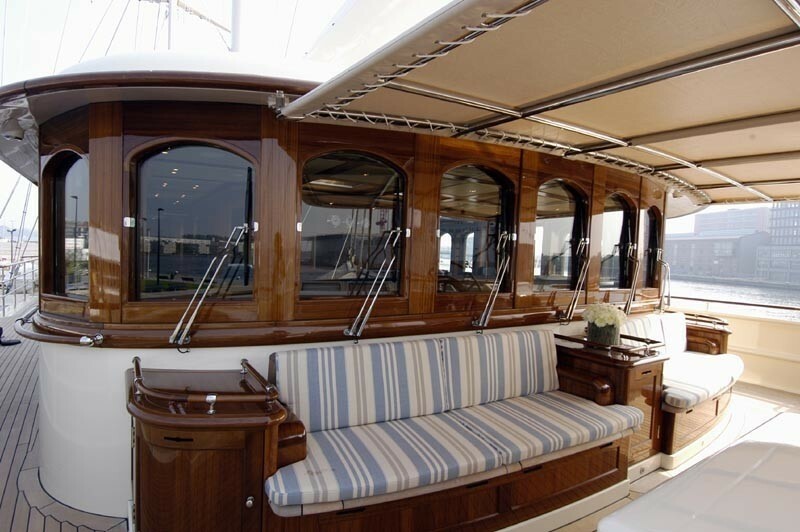 With a width of 12.2 m / 40.03 ft ATHENA has impressive interior. 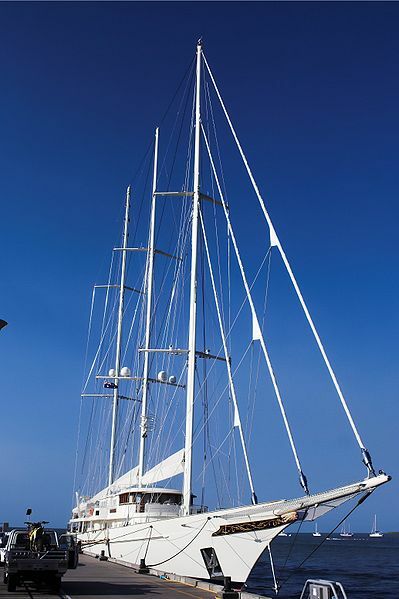 She has a deep draught of 5.77m (18.93ft). 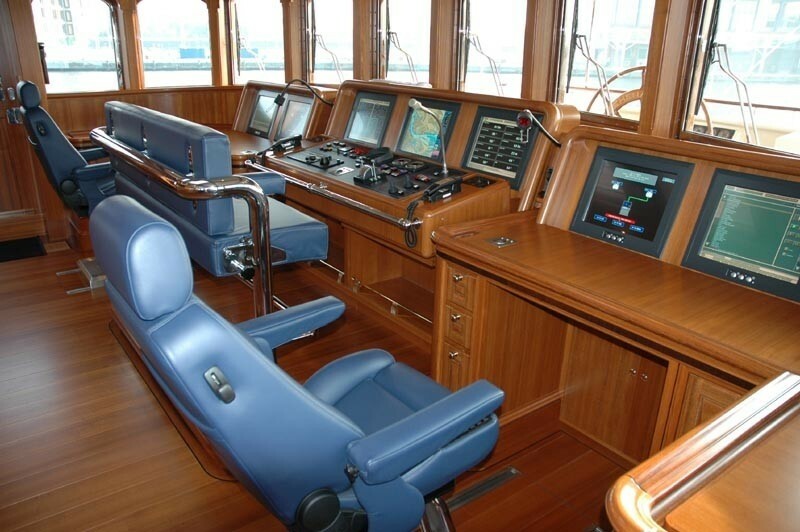 She had refit improvement and modification carried out by 2008. 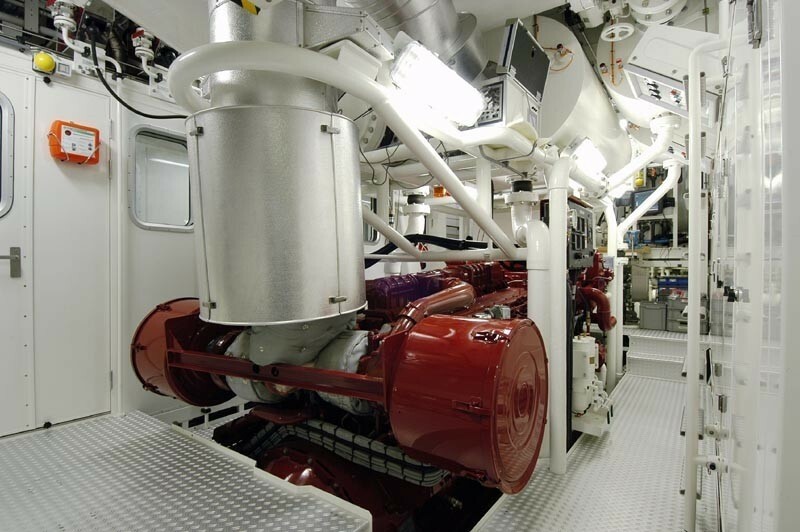 The 3516B engine powering the yacht is built by CATERPILLAR. 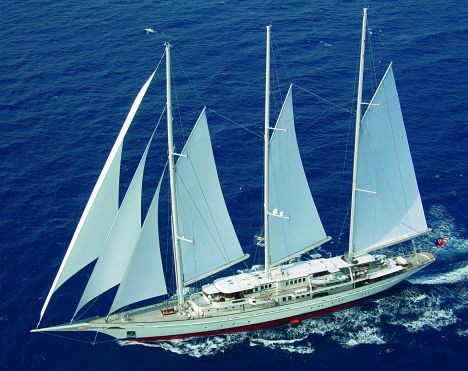 Her propulsion units are twin screw propellers (wartsila 4 blades). 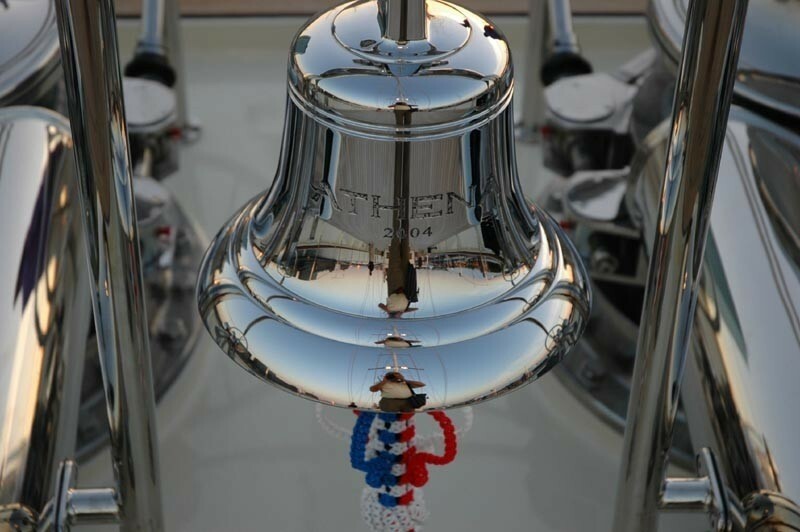 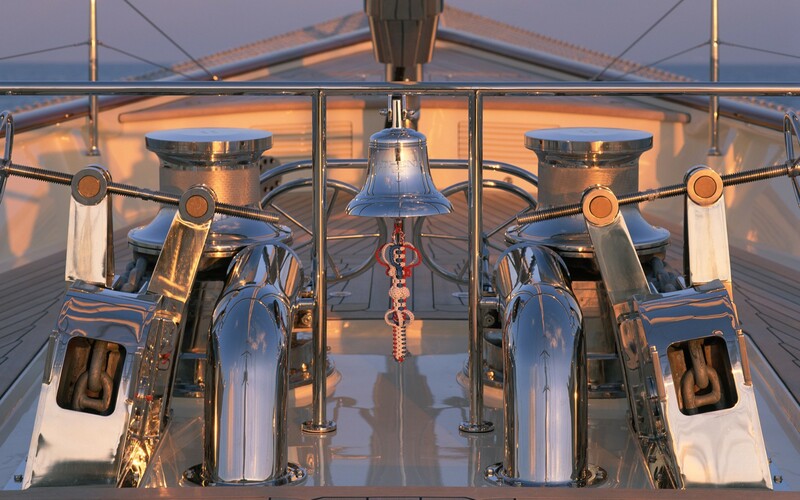 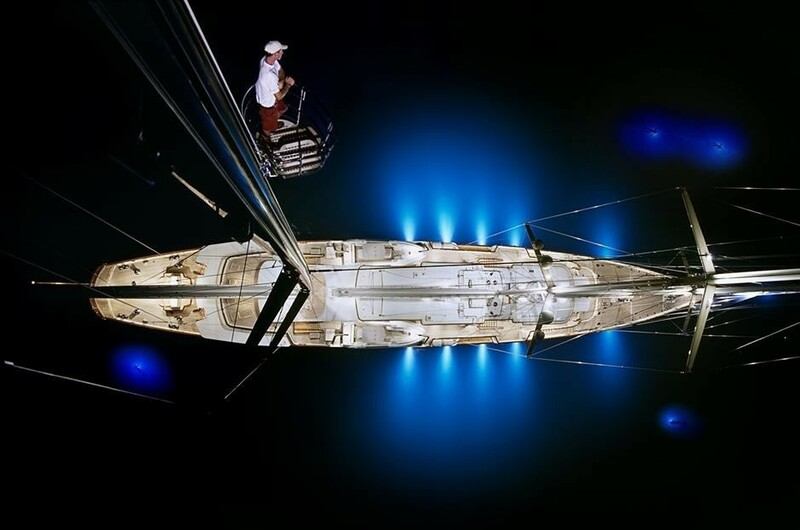 The main engine of the ship gives 2000 horse power (or 1492 kilowatts). 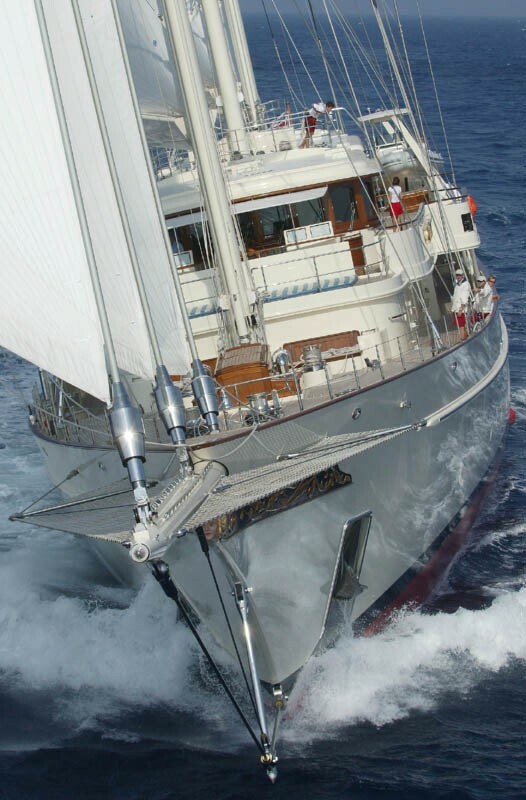 She is equiped with 2 engines. 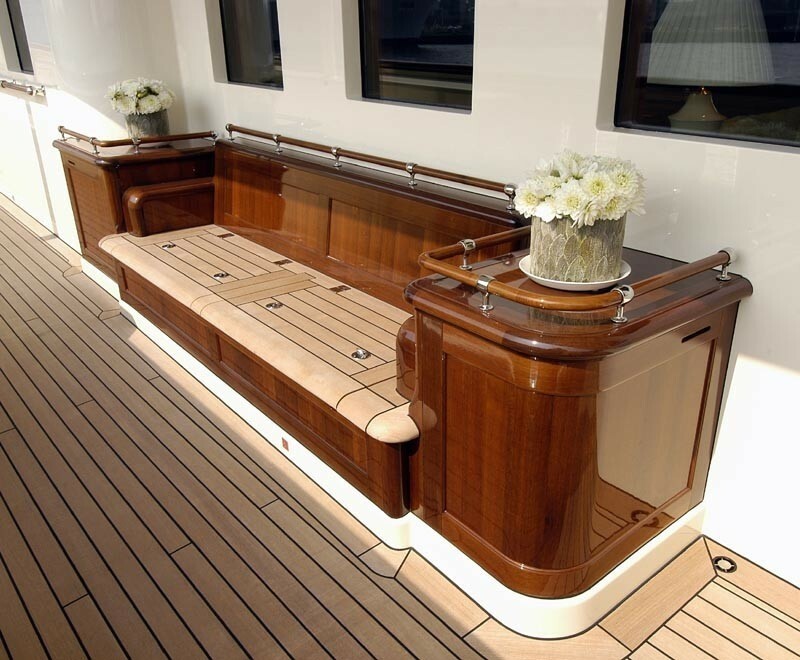 The sum output for the yacht is therefore 4000 HP or 2943 KW. 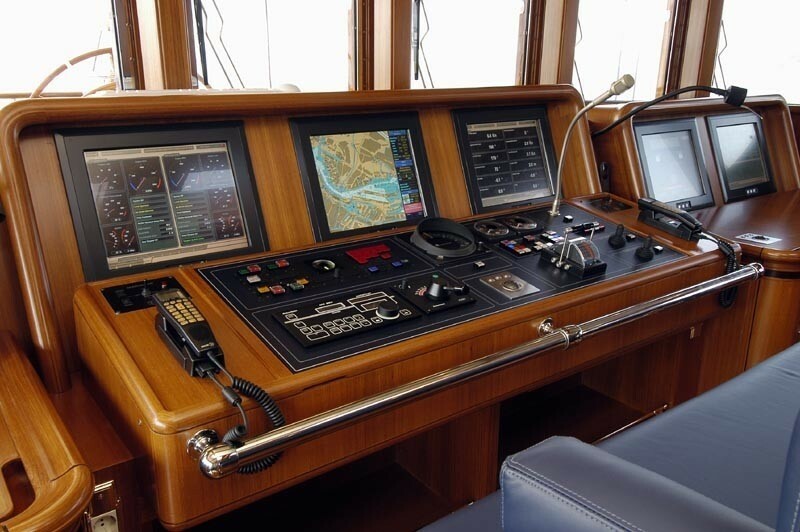 The bow thrusters are Holland Roer. 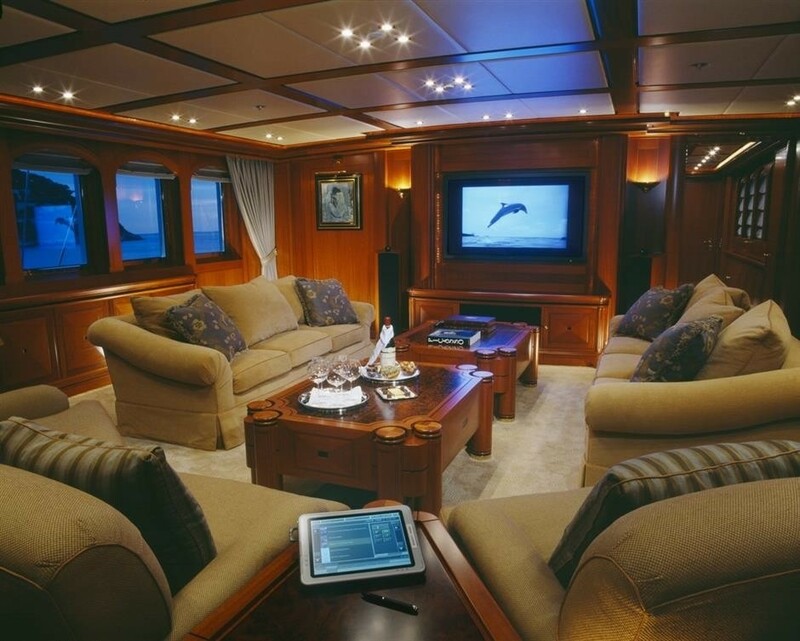 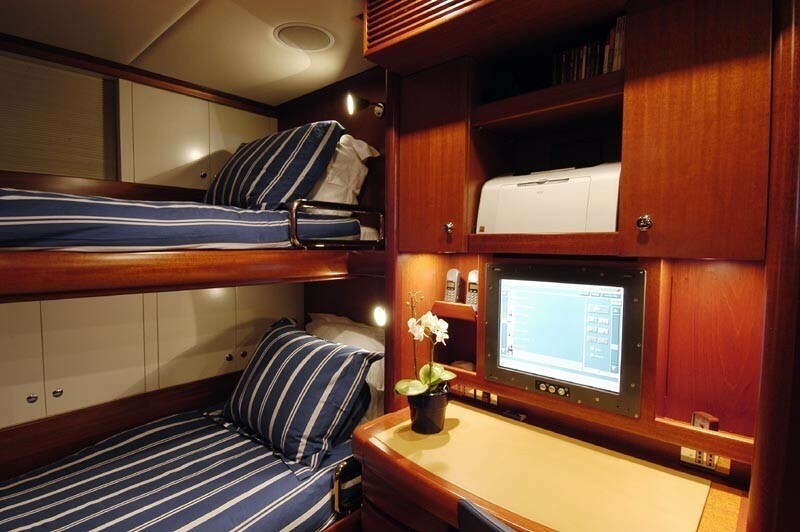 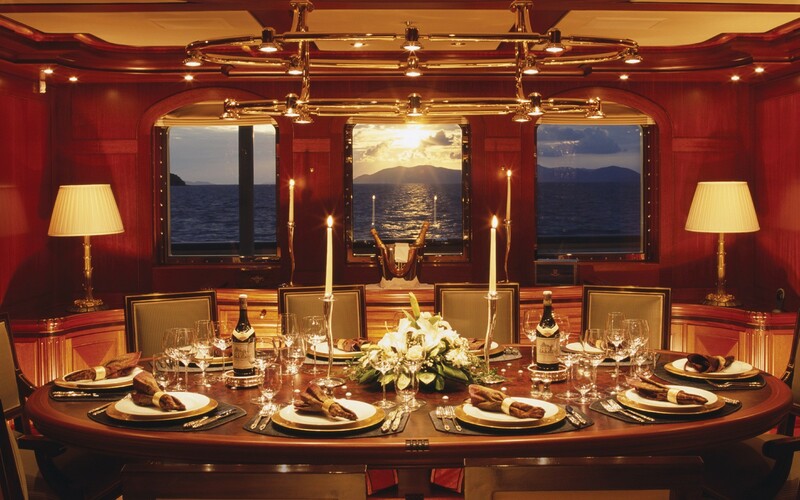 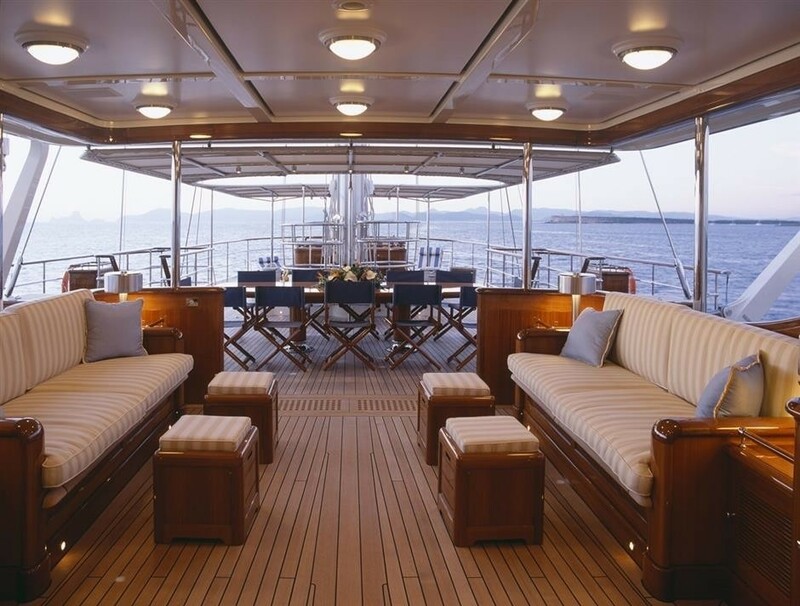 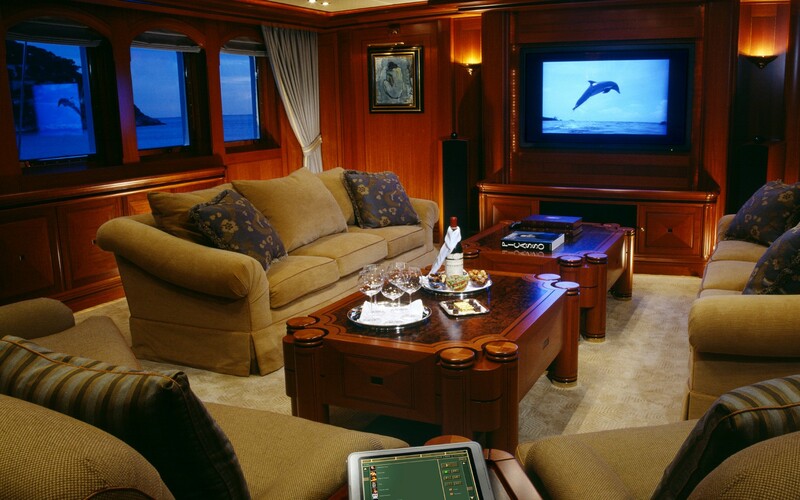 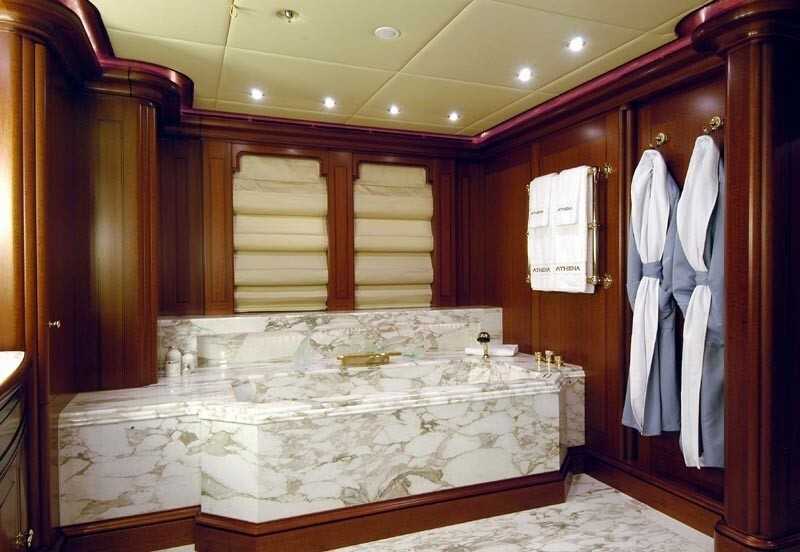 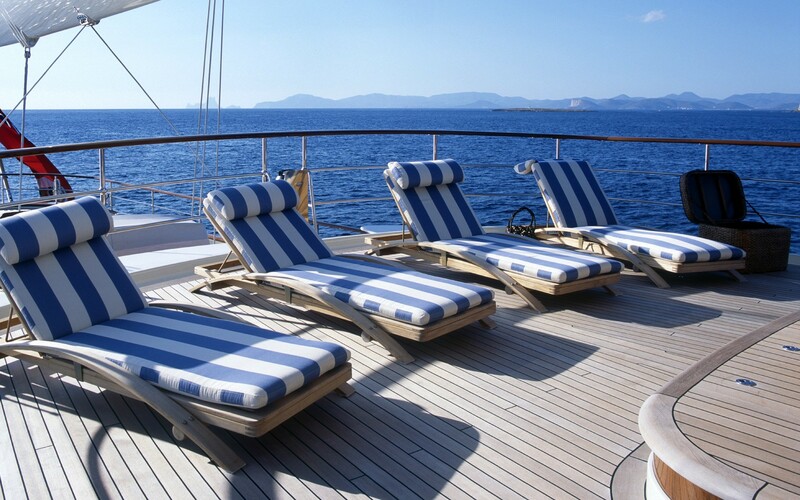 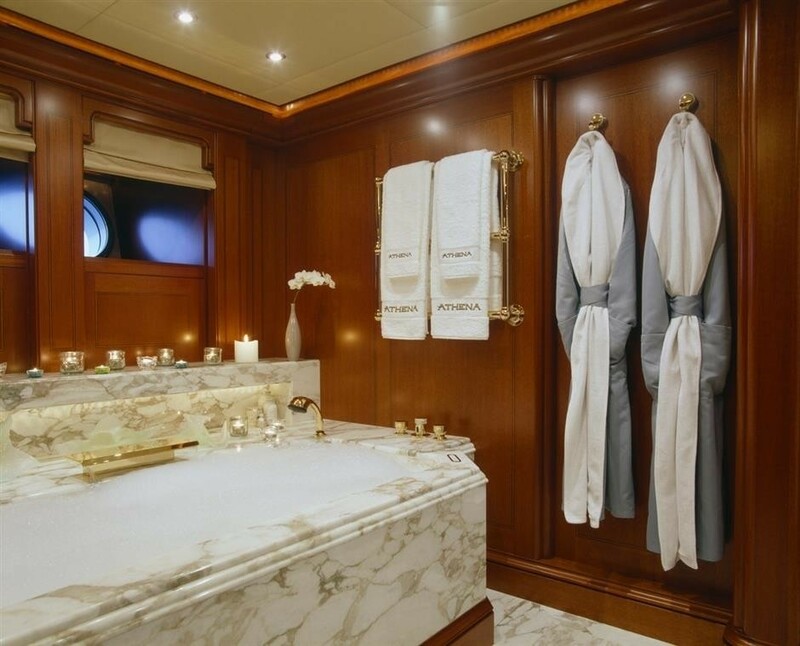 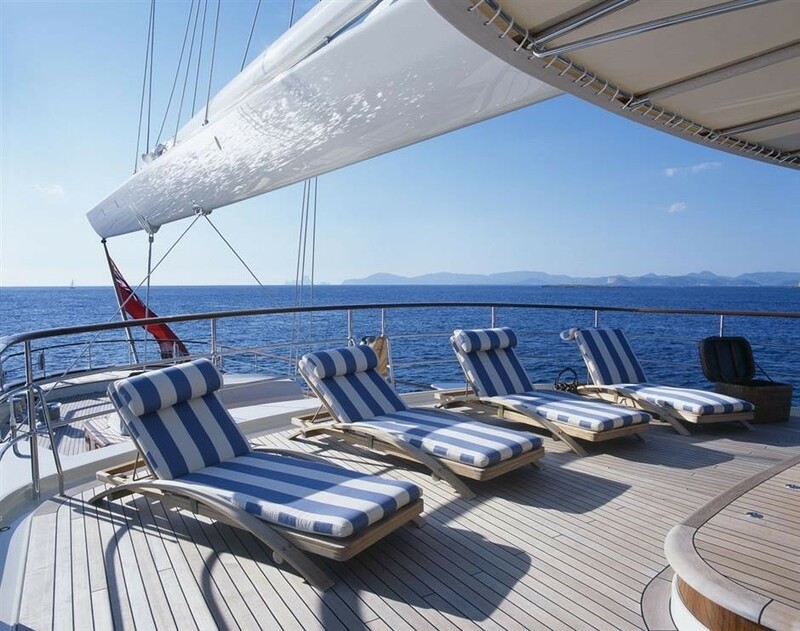 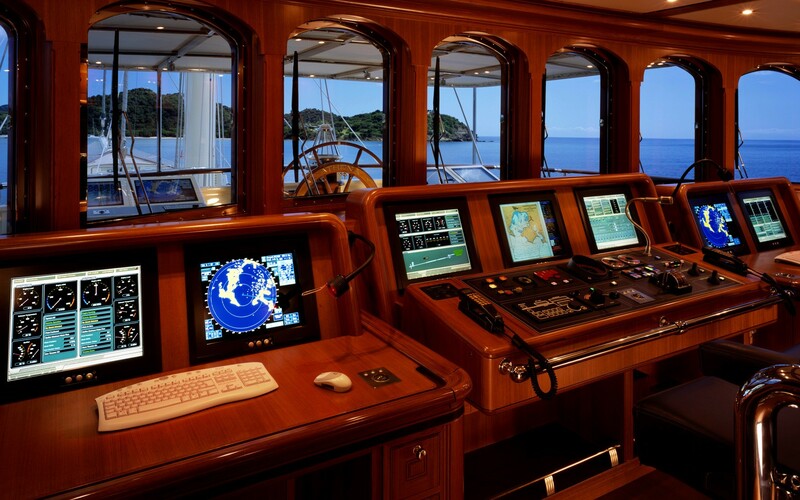 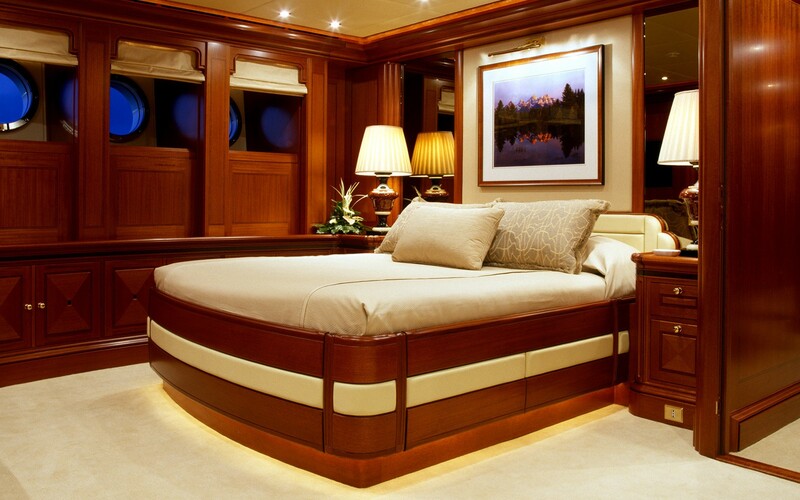 Having cabins for a maximum of 12 yacht guests staying on board, the ATHENA accommodates them luxuriously. 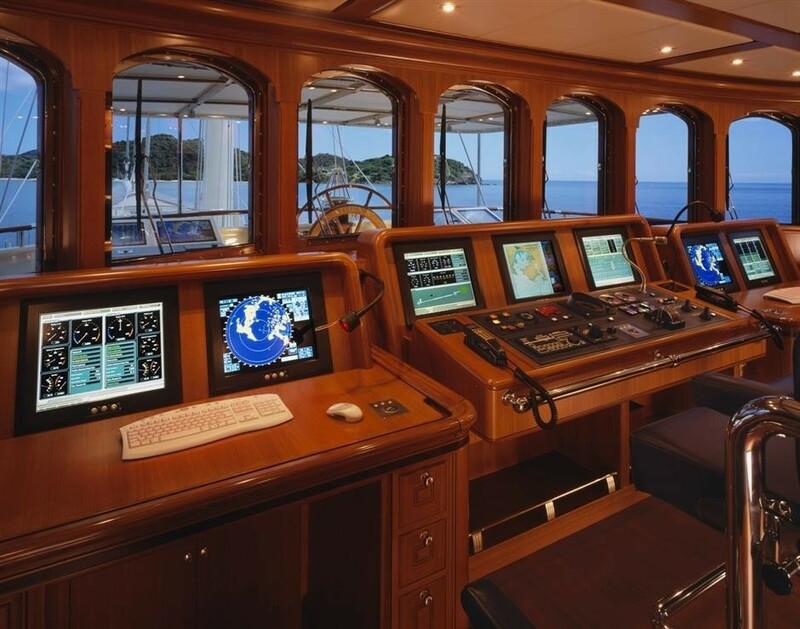 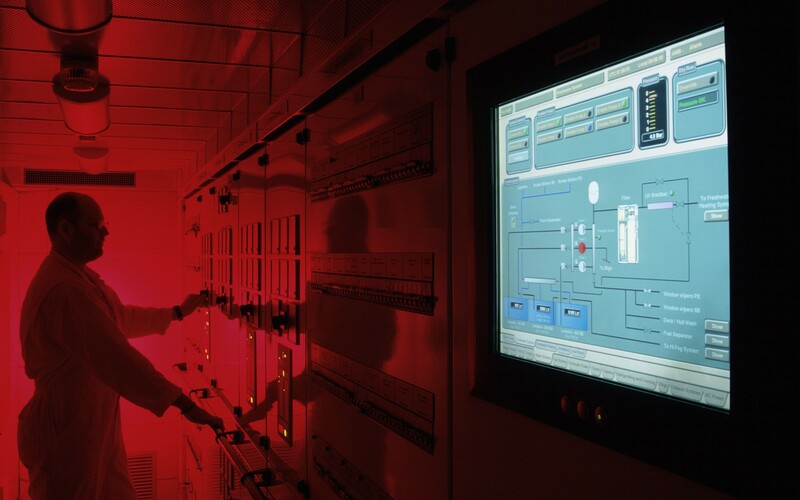 Under normal conditions she utilises circa 22 professional crewmembers to run. 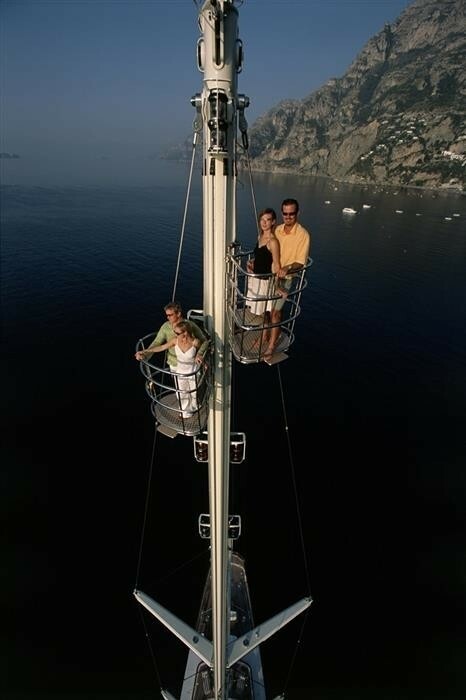 90 metres / 295.3 feet. 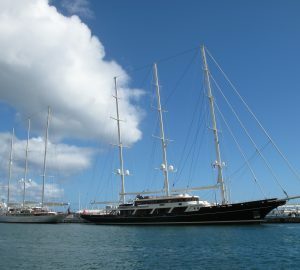 Around October 2009 ATHENA visited Newport, in United States. 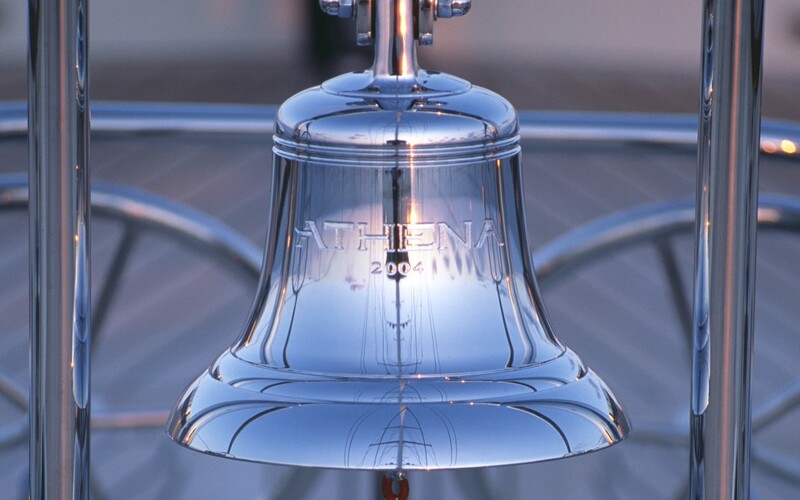 ATHENA also traveled the location including Newport County during October 2009. 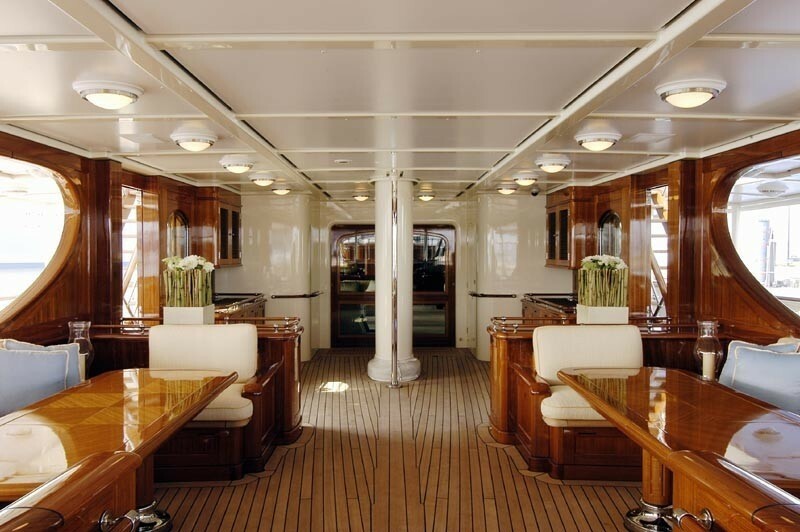 The yacht was built with Heinen & Hopman A/C. 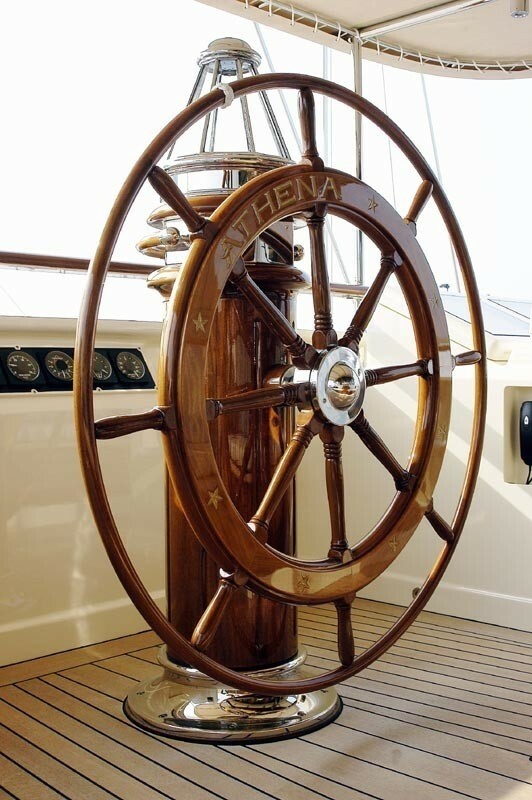 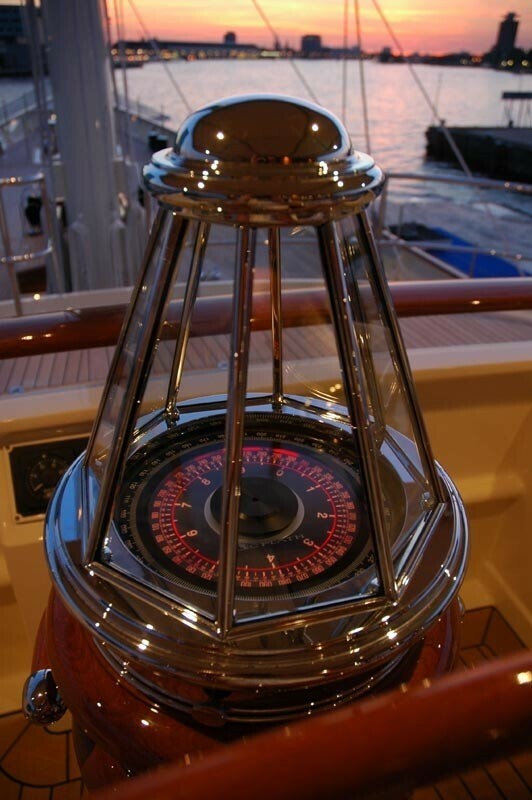 ATHENA features a teak deck.